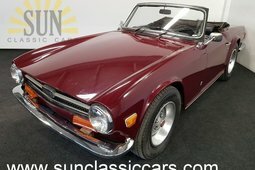 A neat and clean Triumph TR6 from 1974 with a soft-top and hard-top. 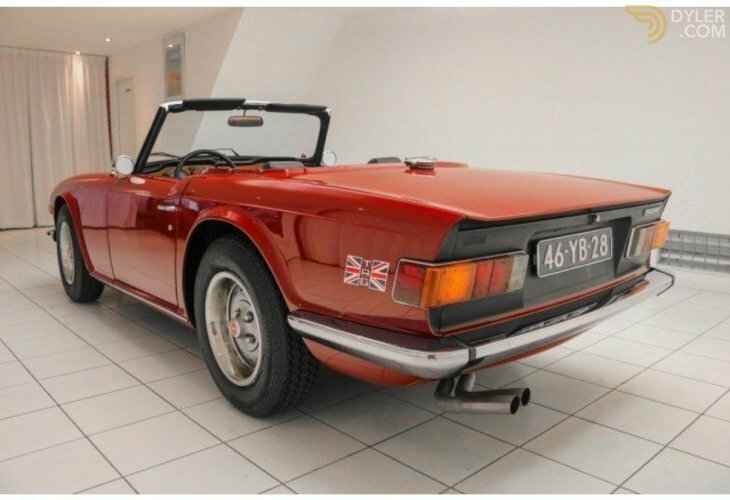 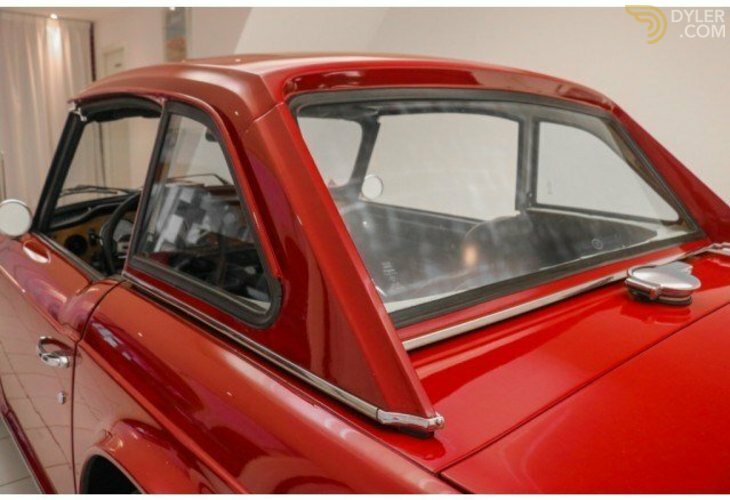 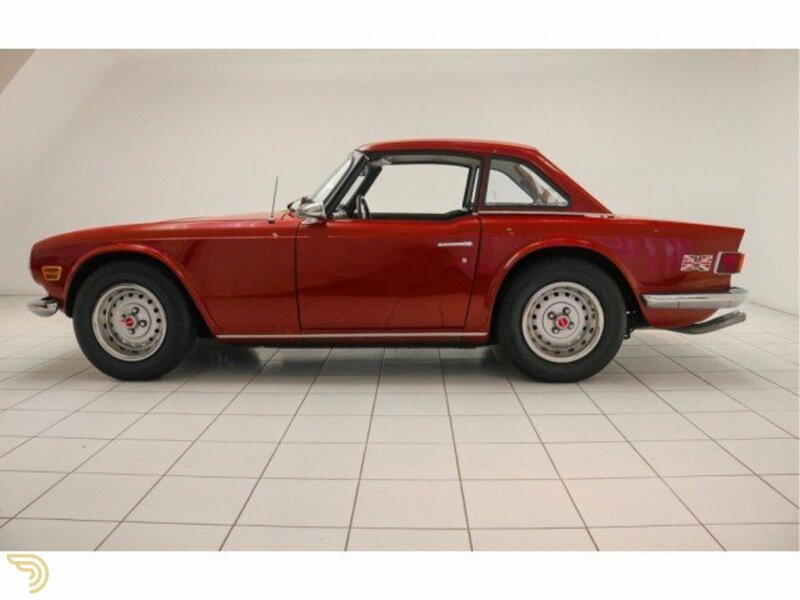 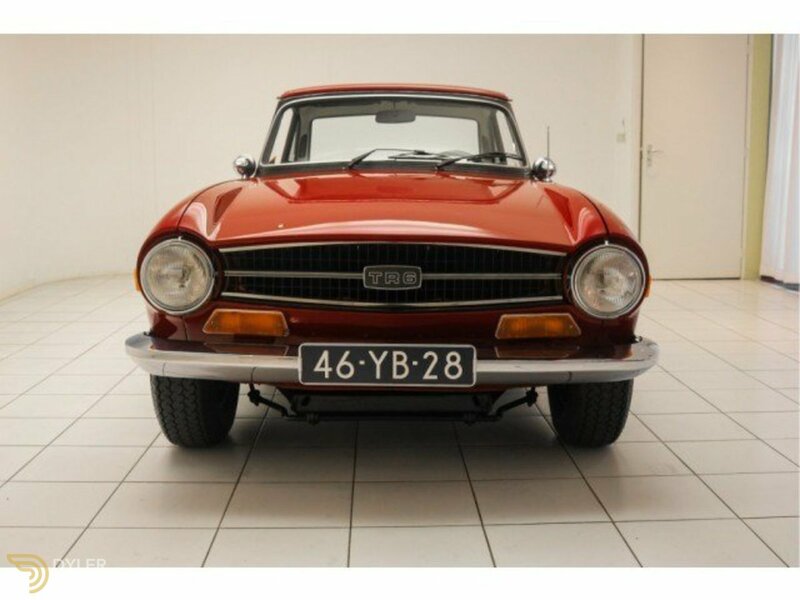 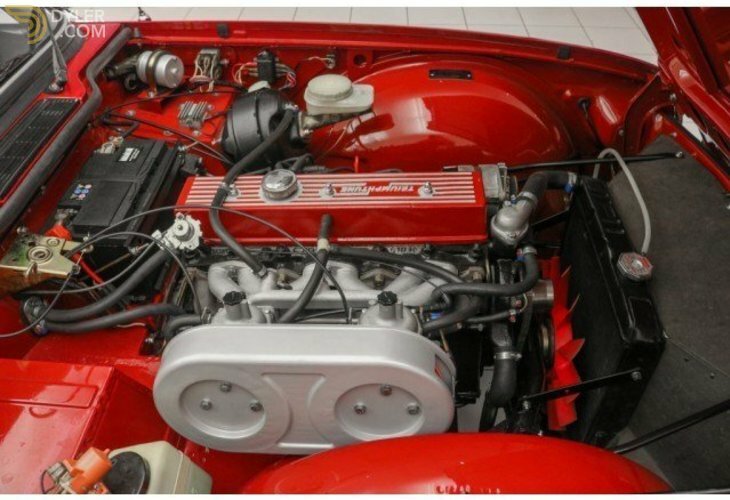 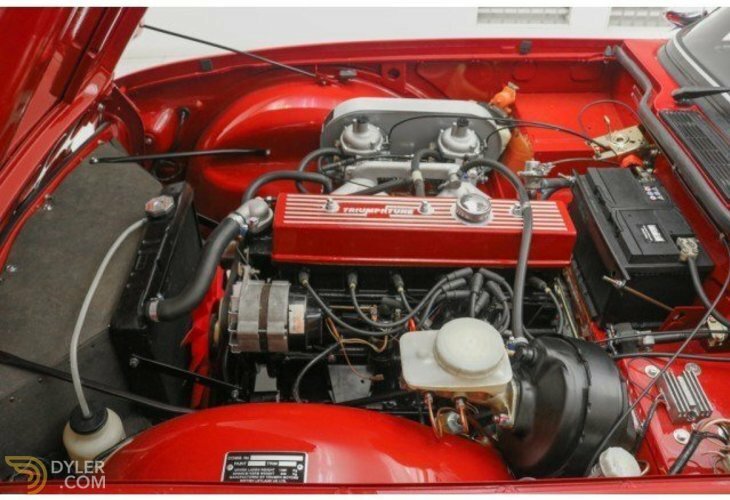 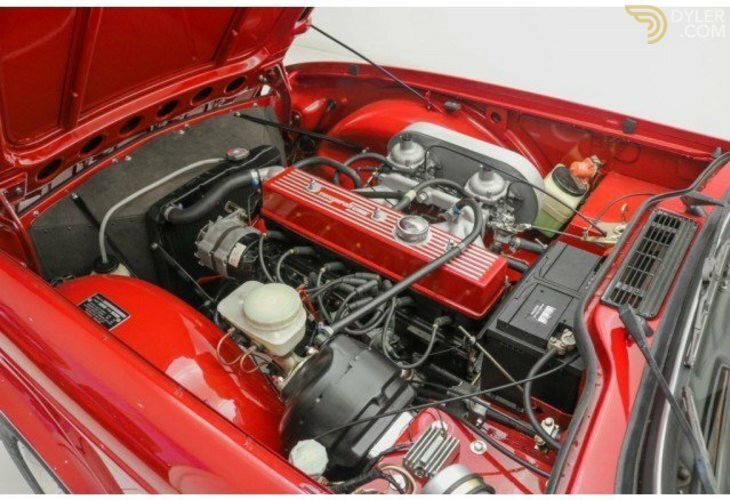 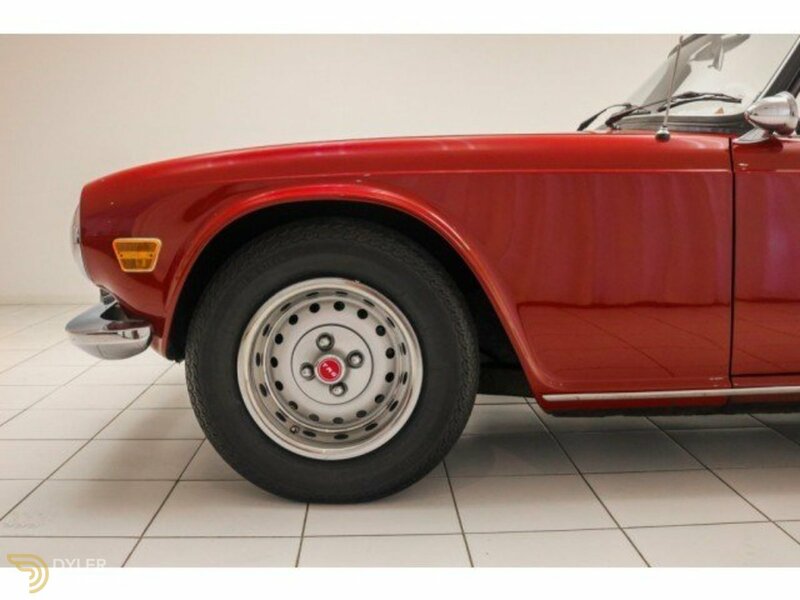 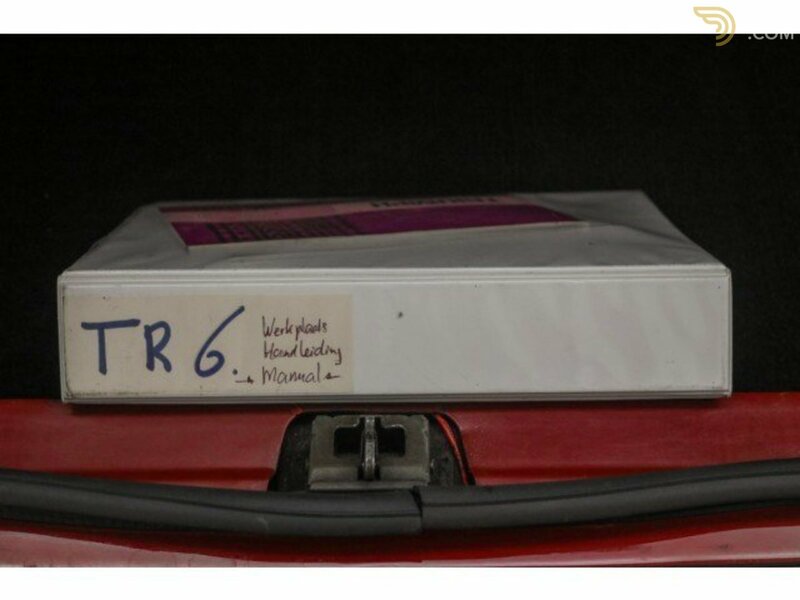 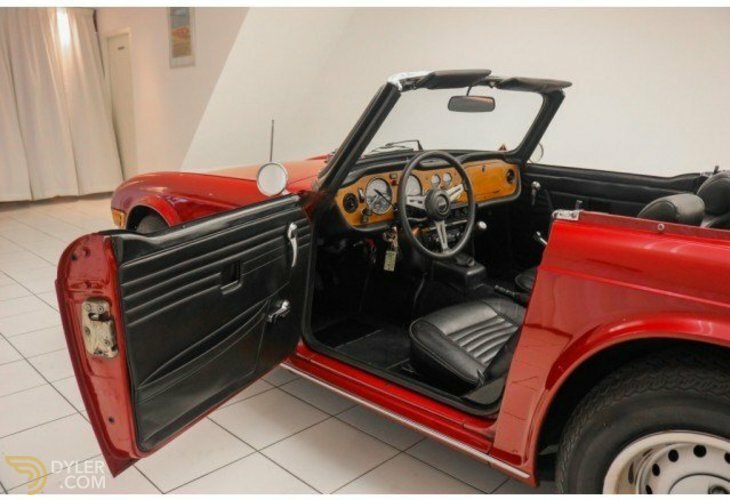 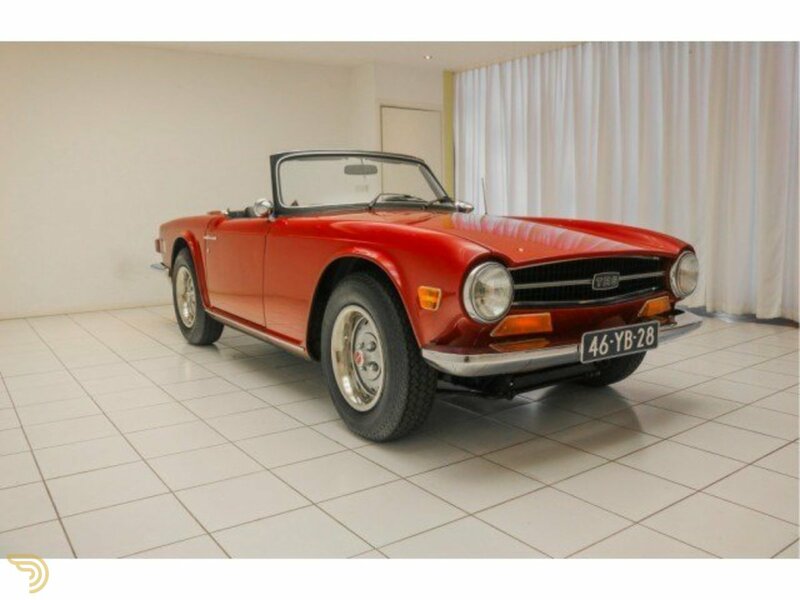 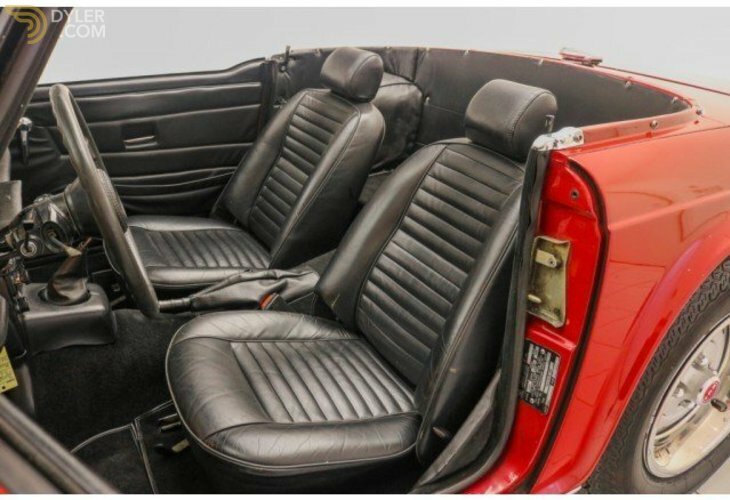 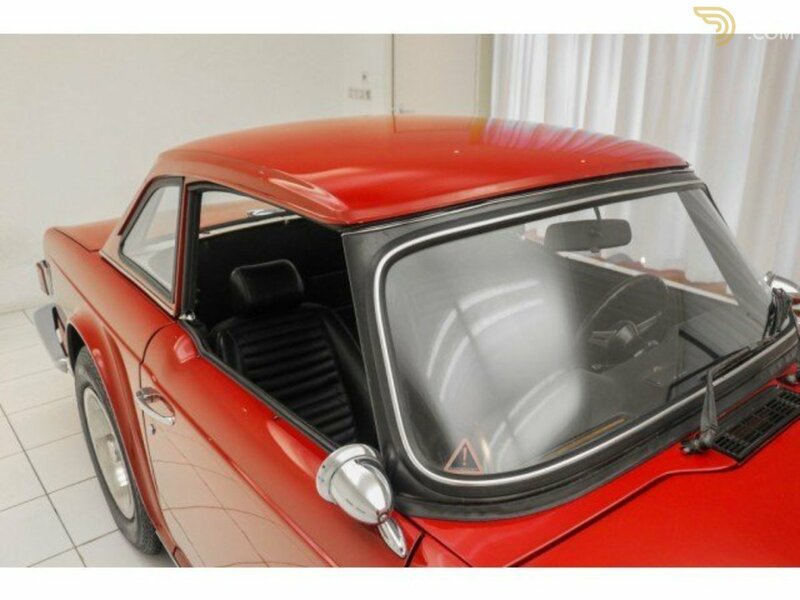 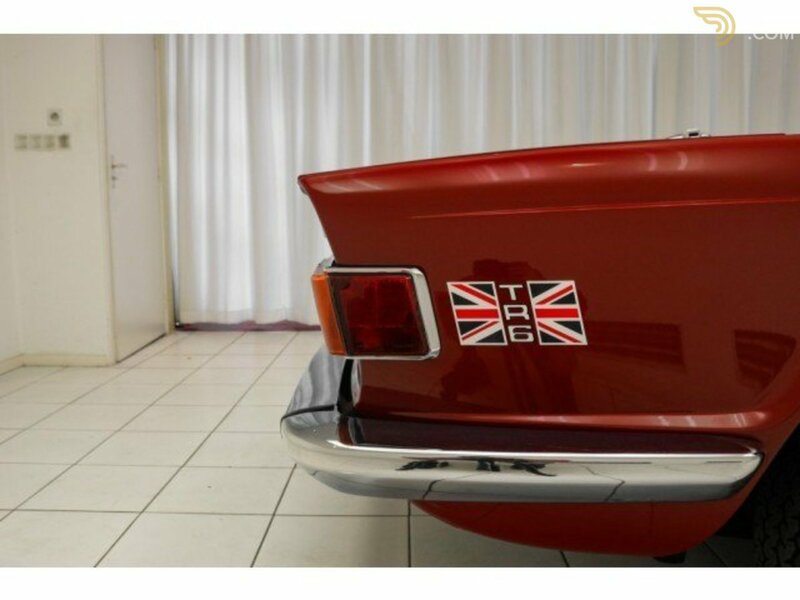 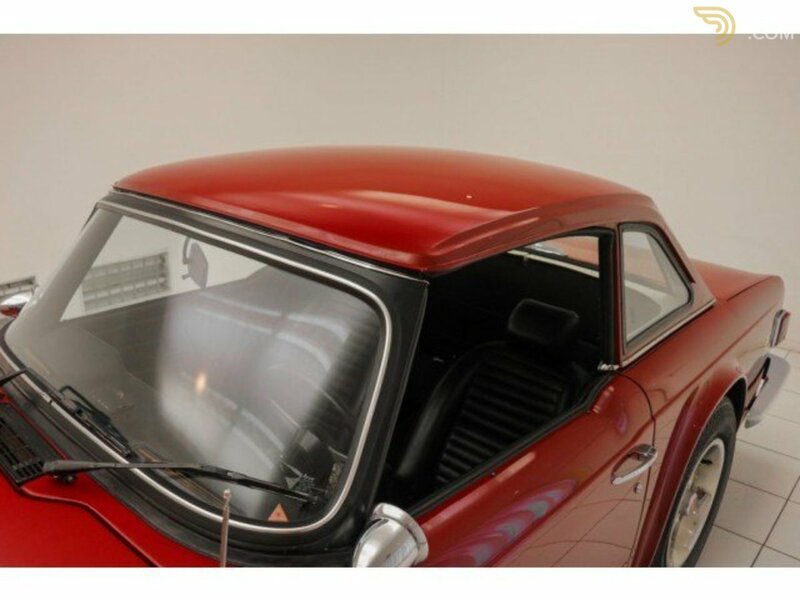 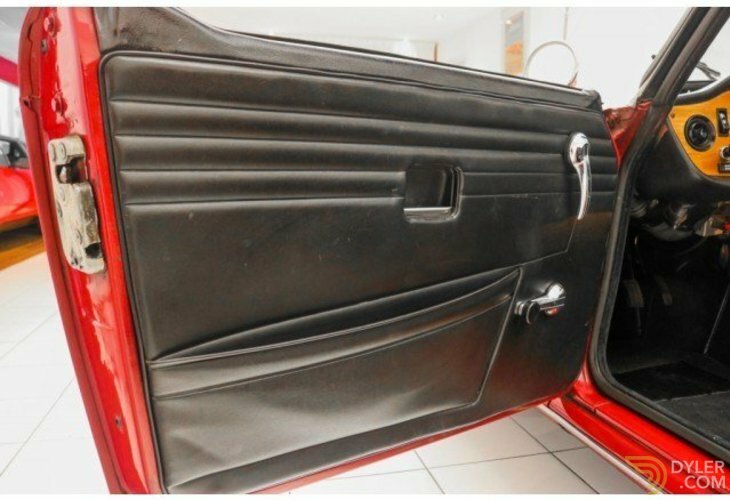 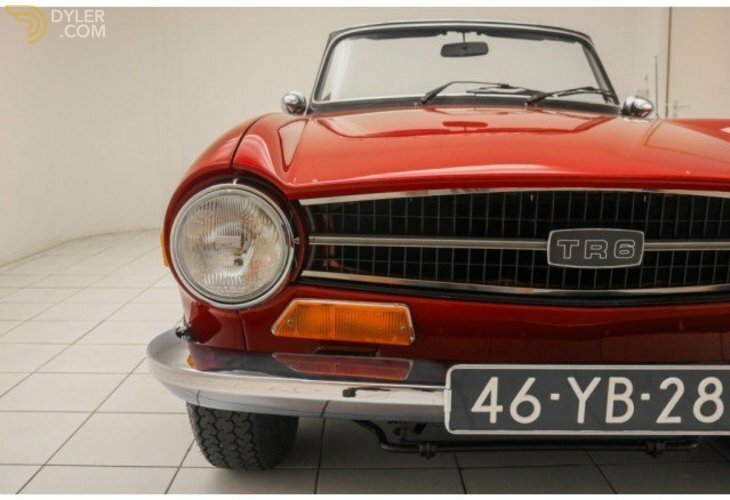 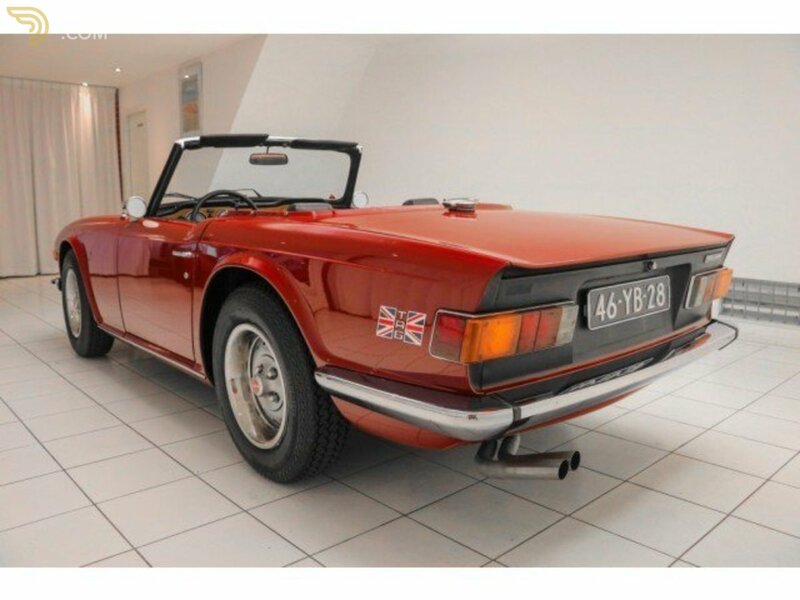 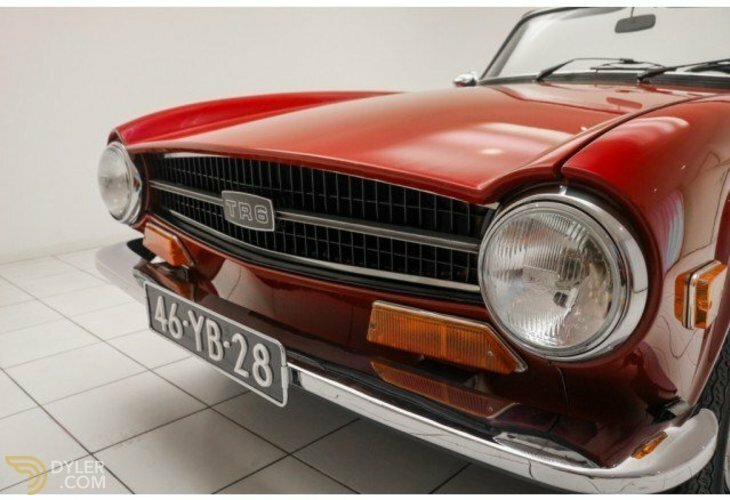 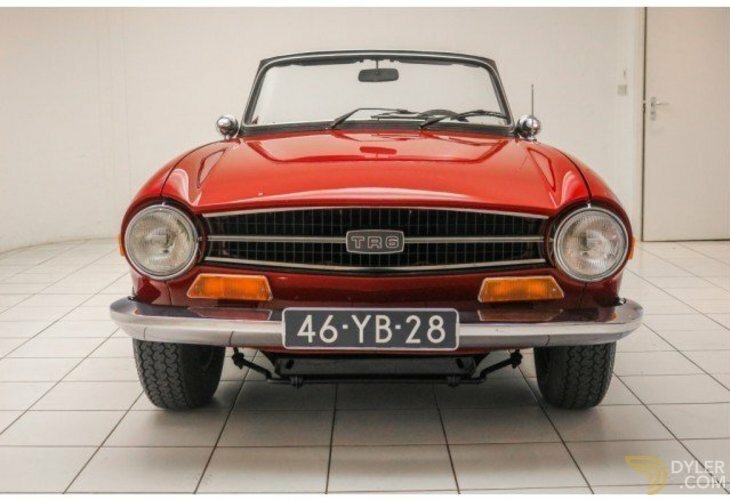 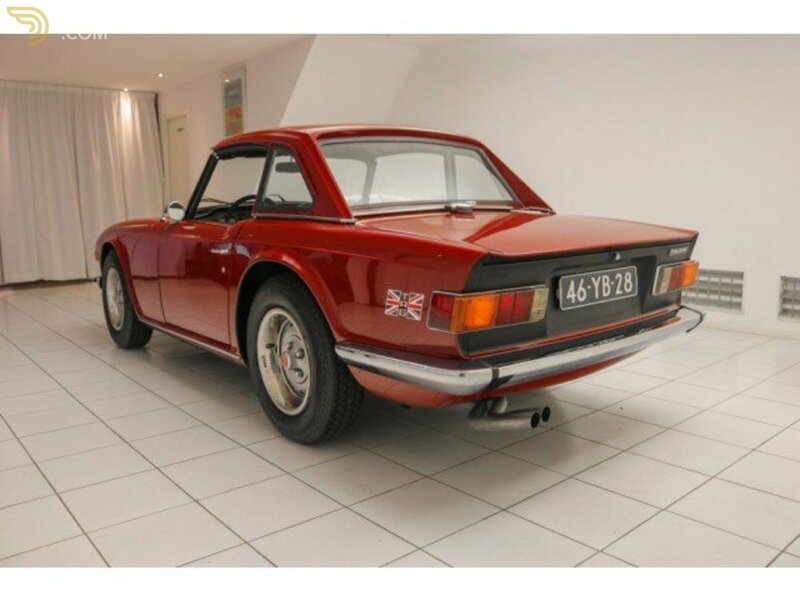 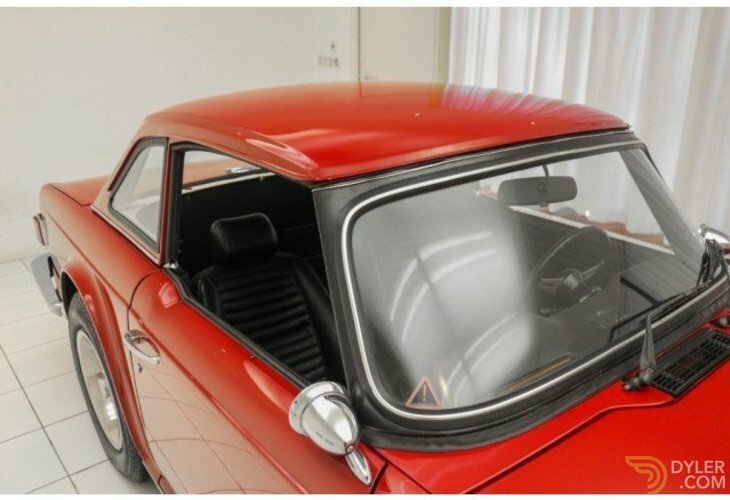 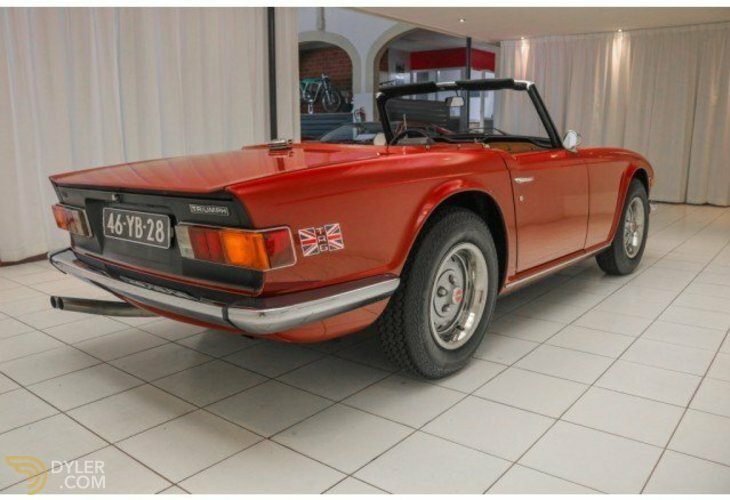 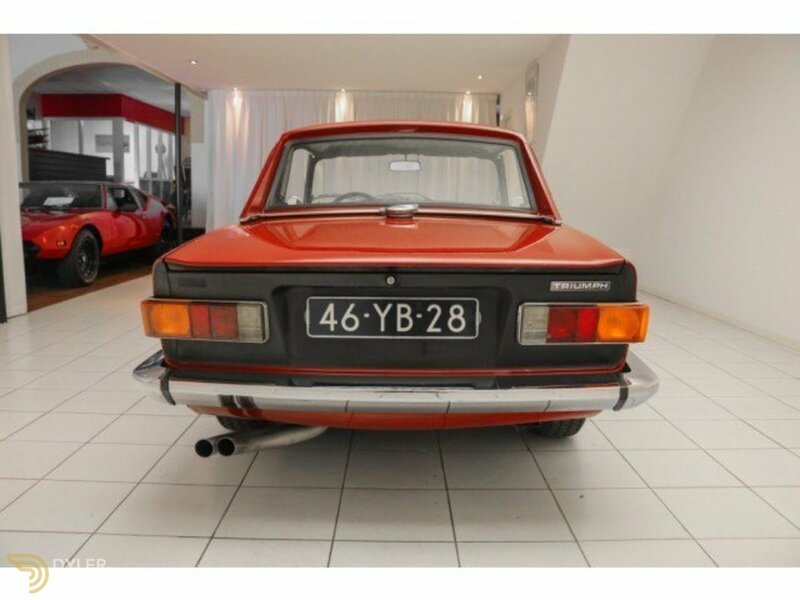 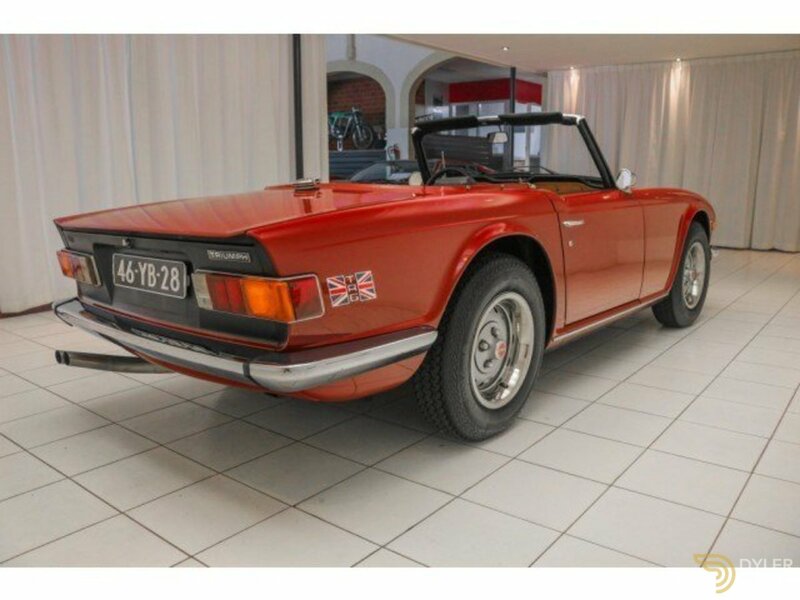 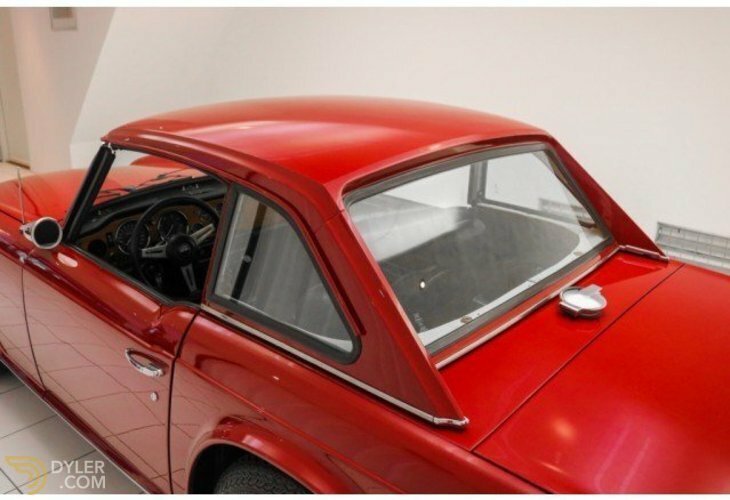 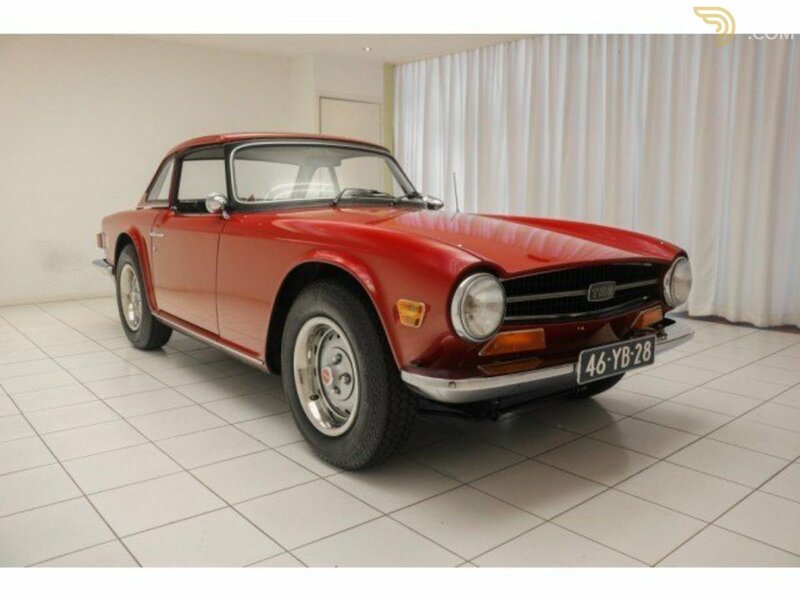 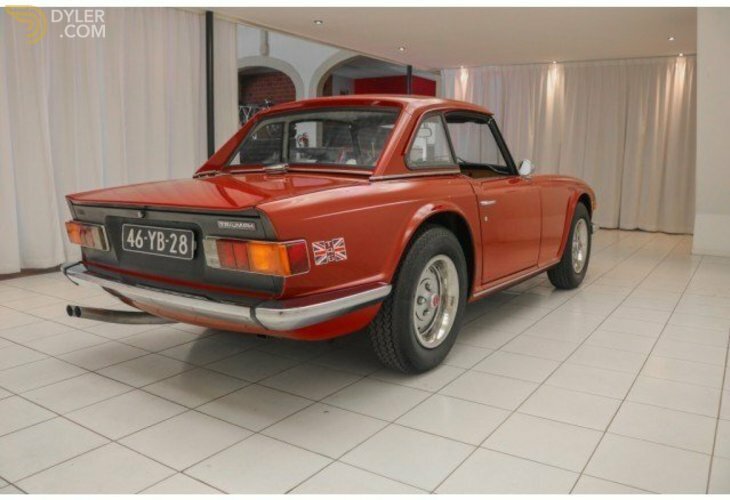 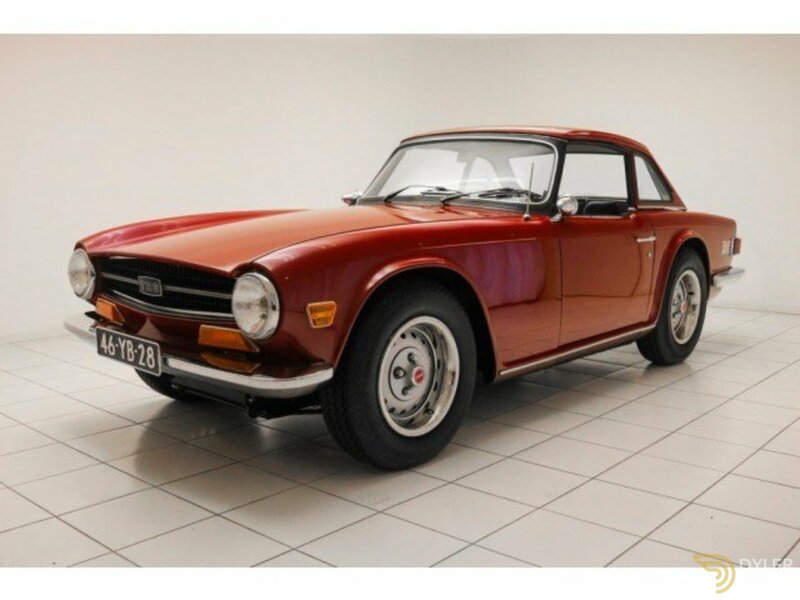 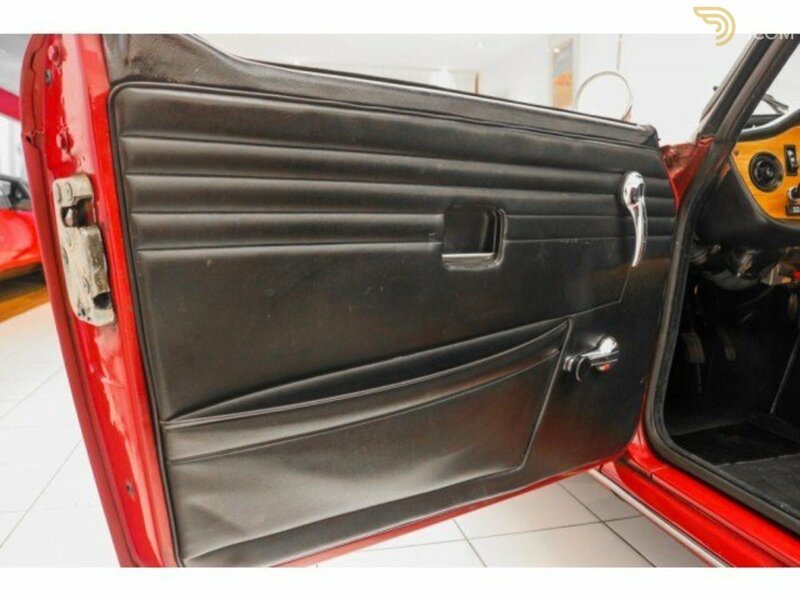 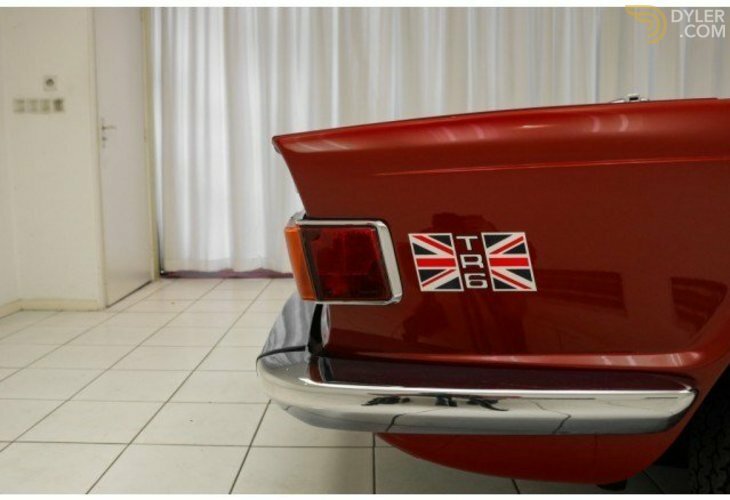 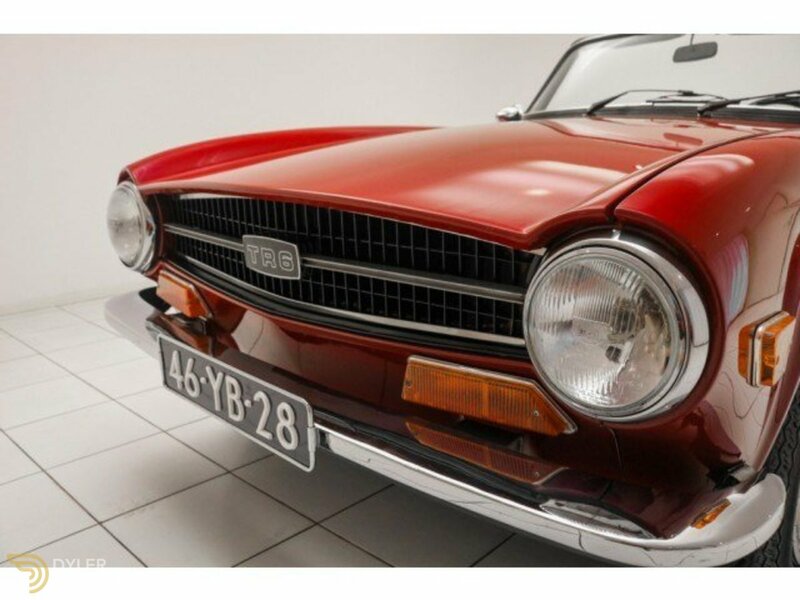 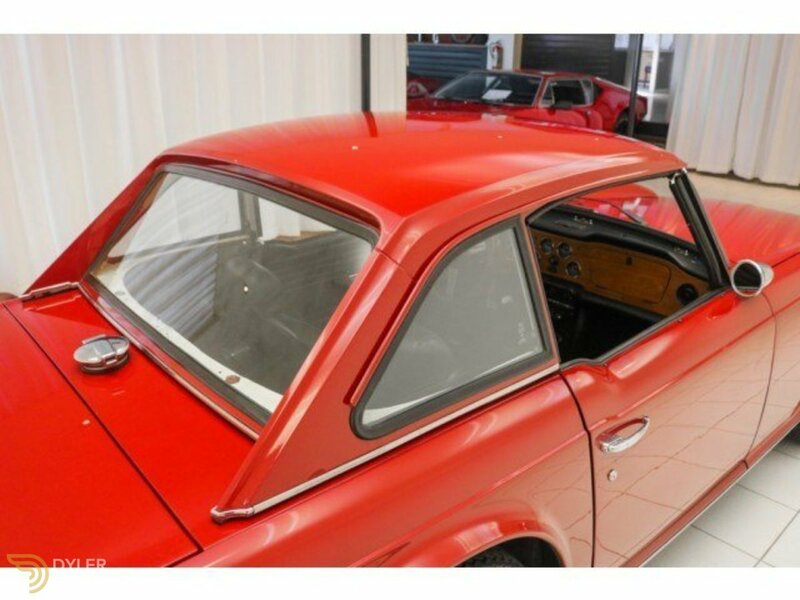 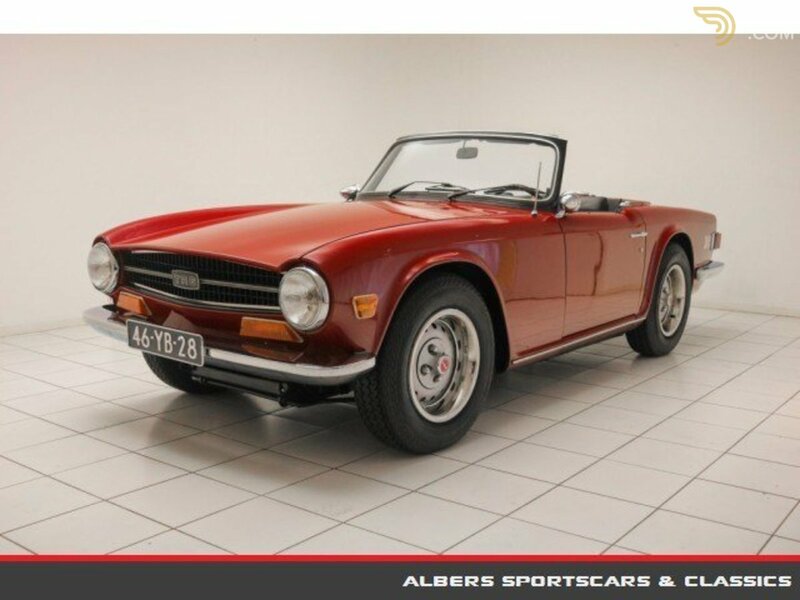 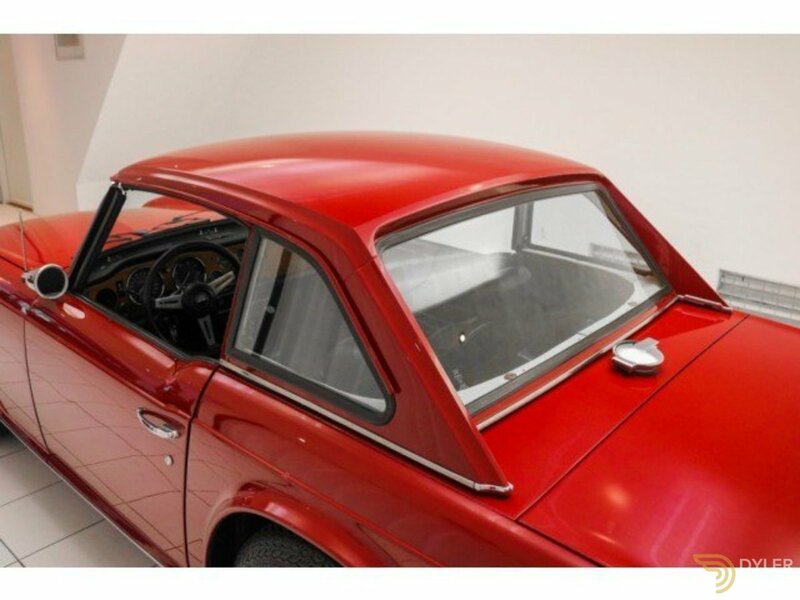 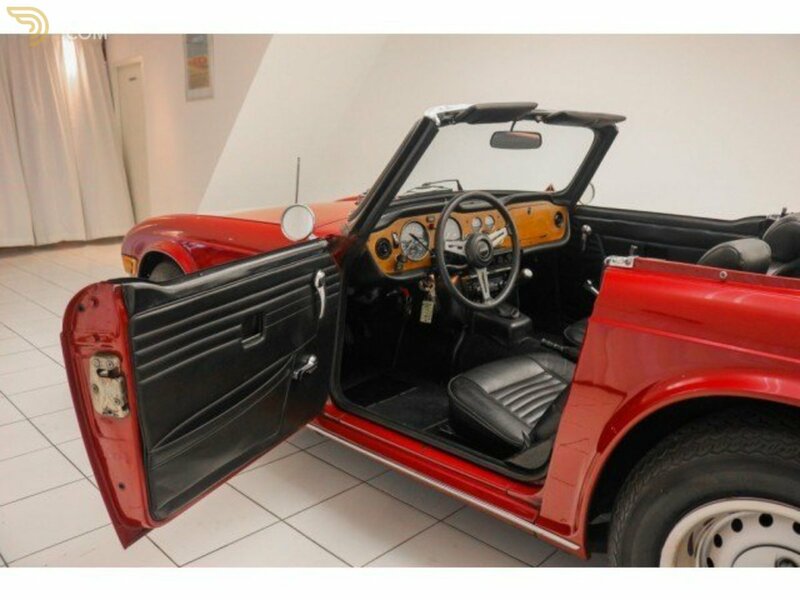 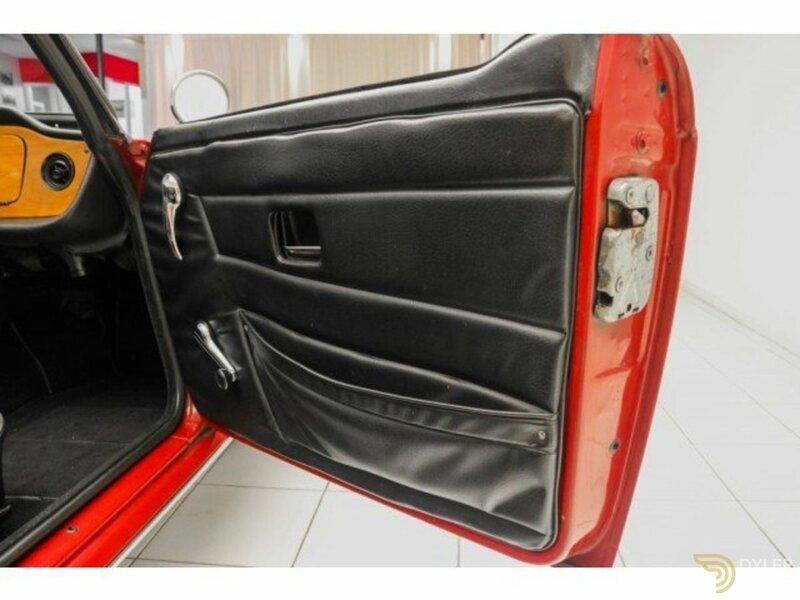 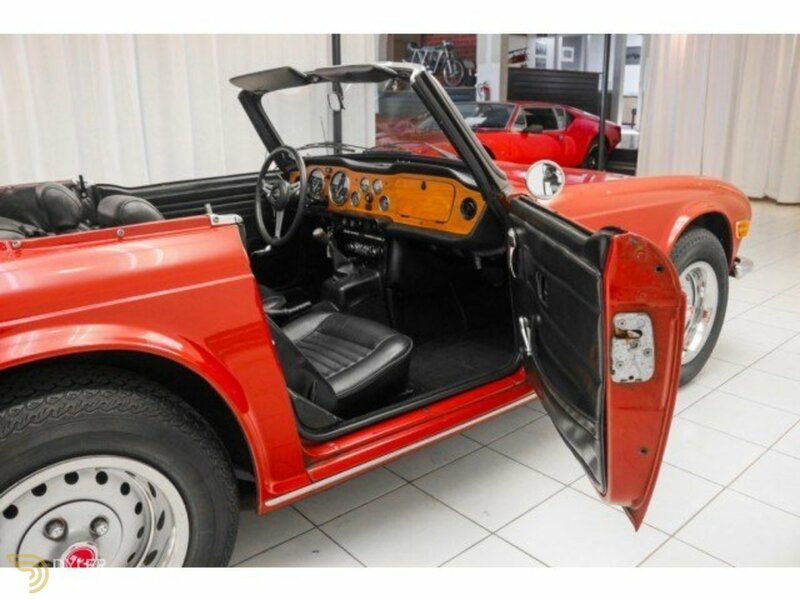 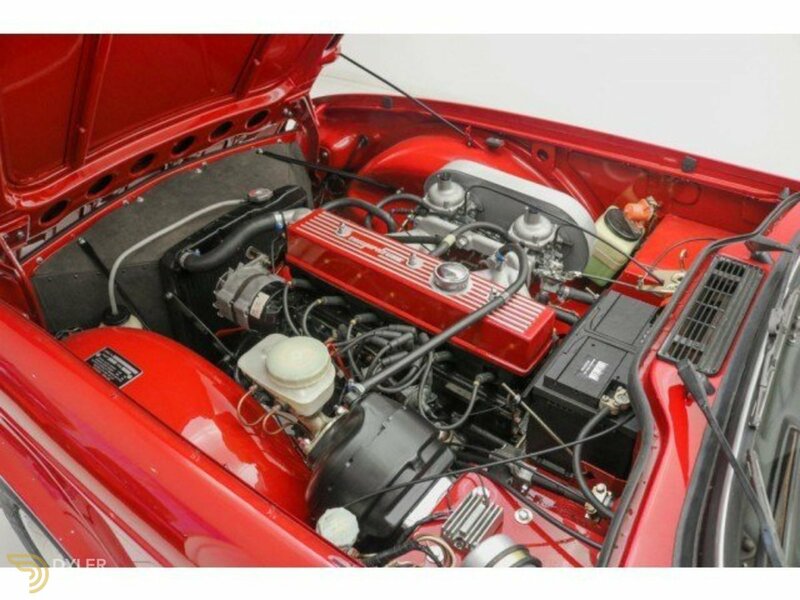 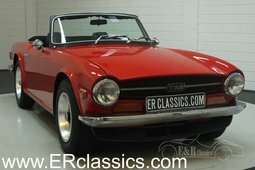 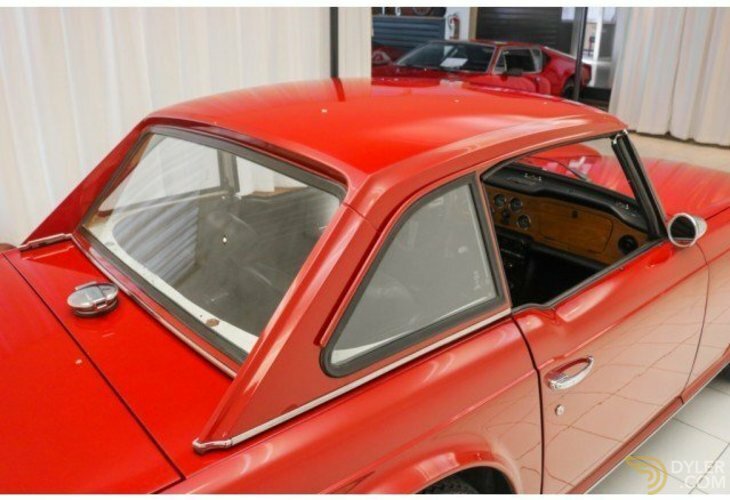 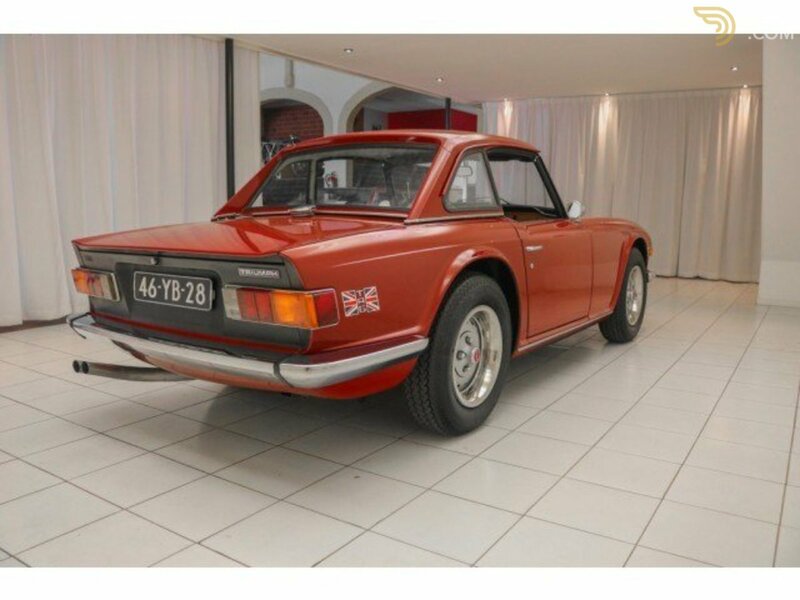 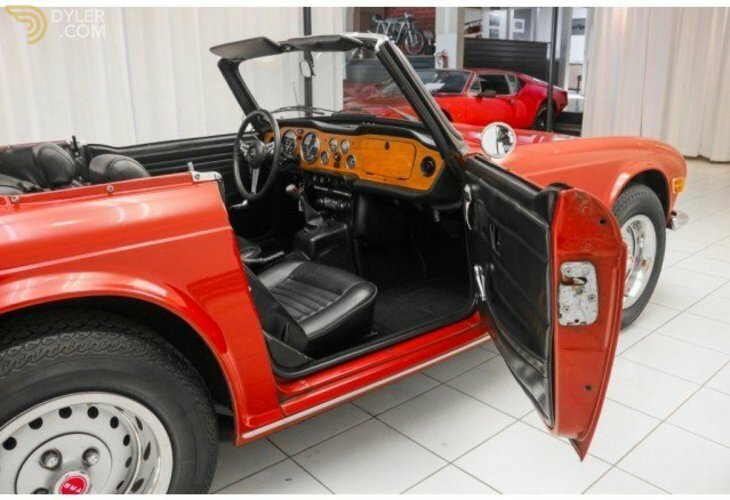 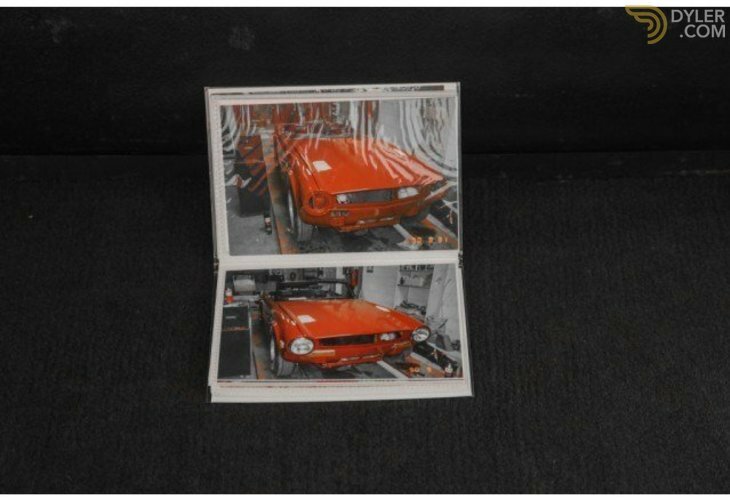 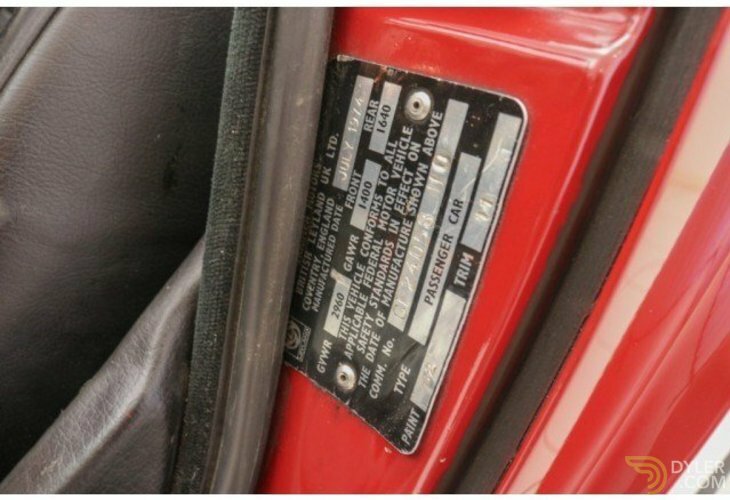 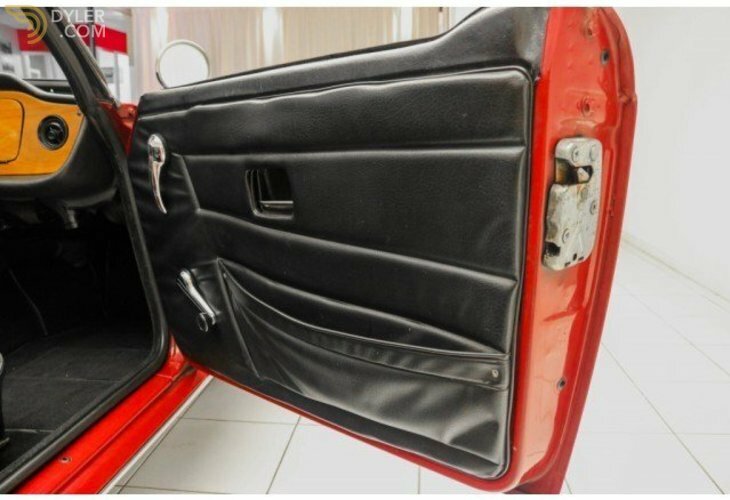 The exterior of this TR6 is in good condition, executed in its original colour Carmine red. 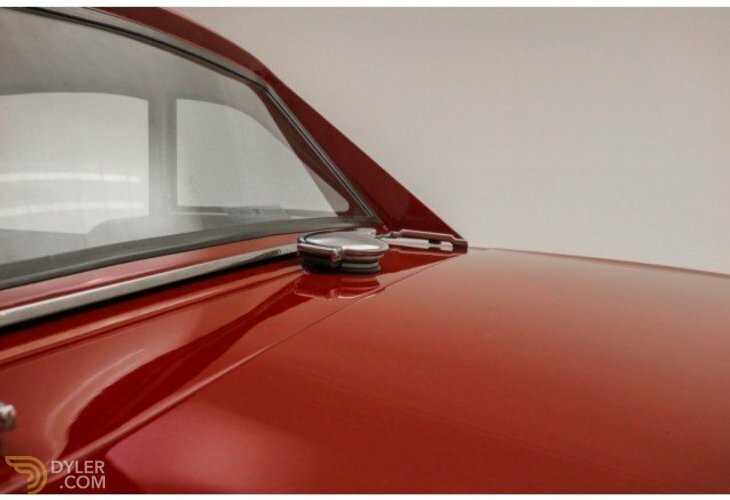 Under the car are the original steel wheels mounted and they are made in silver. 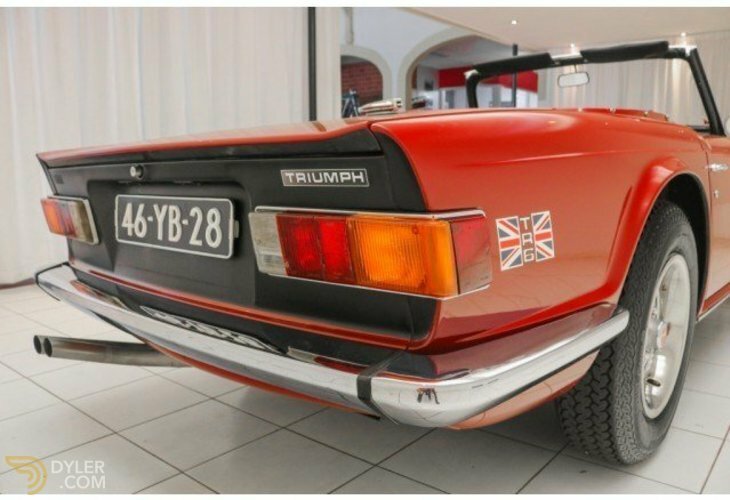 This Triumph is also equipped with a black soft-top and a hard-top in body colour. 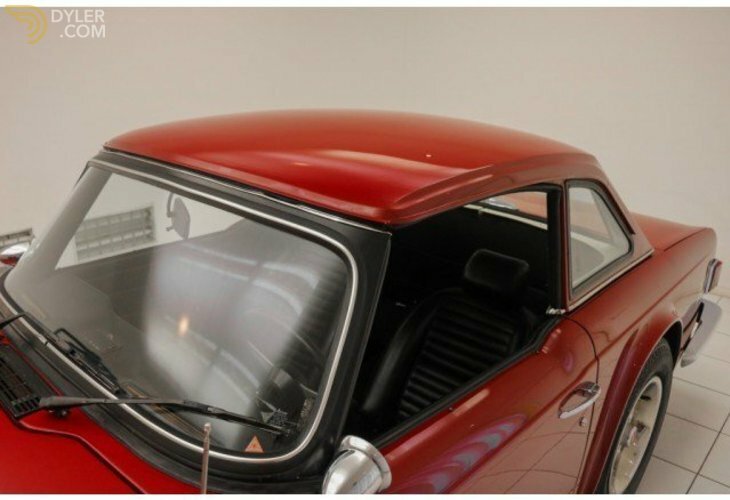 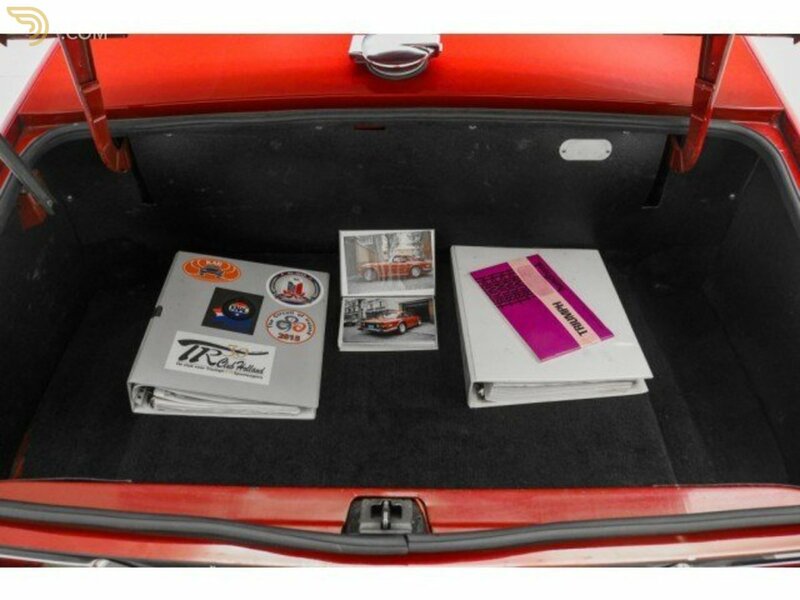 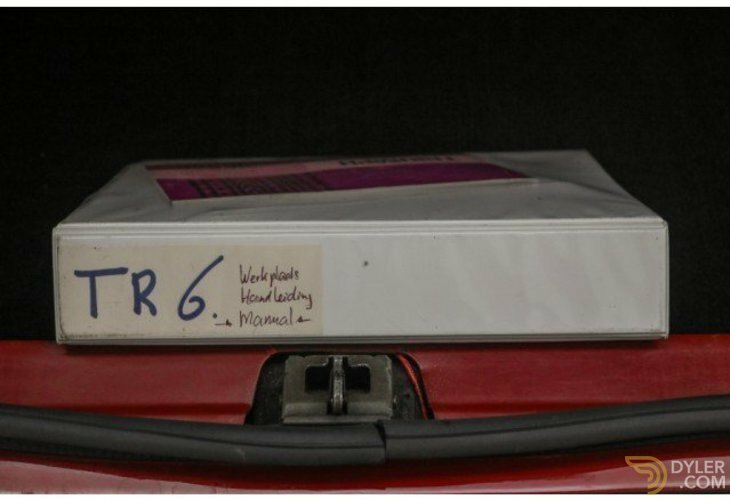 On the back of the boot lid is a neatly chromed luggage carrier. 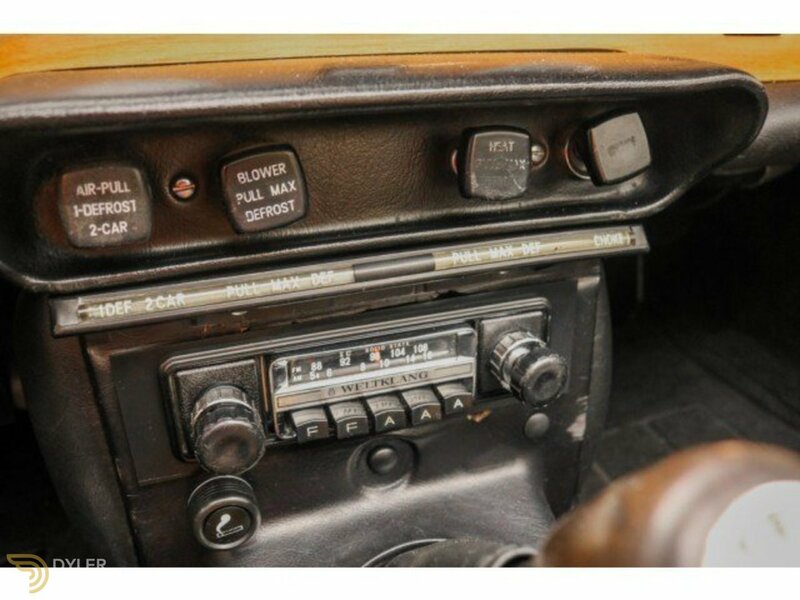 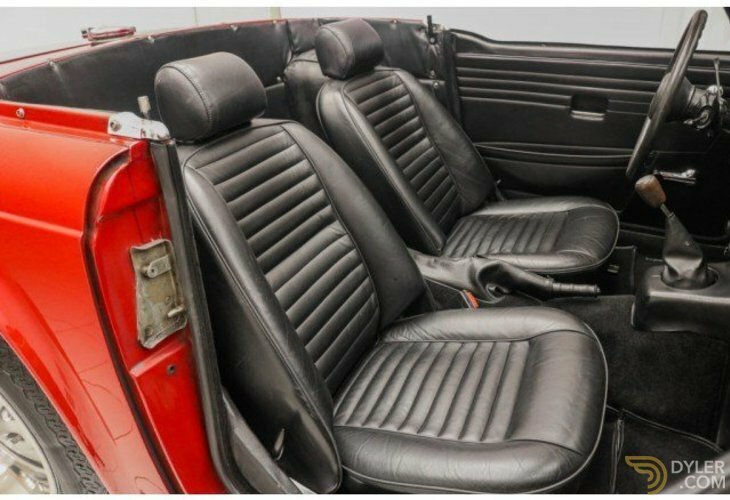 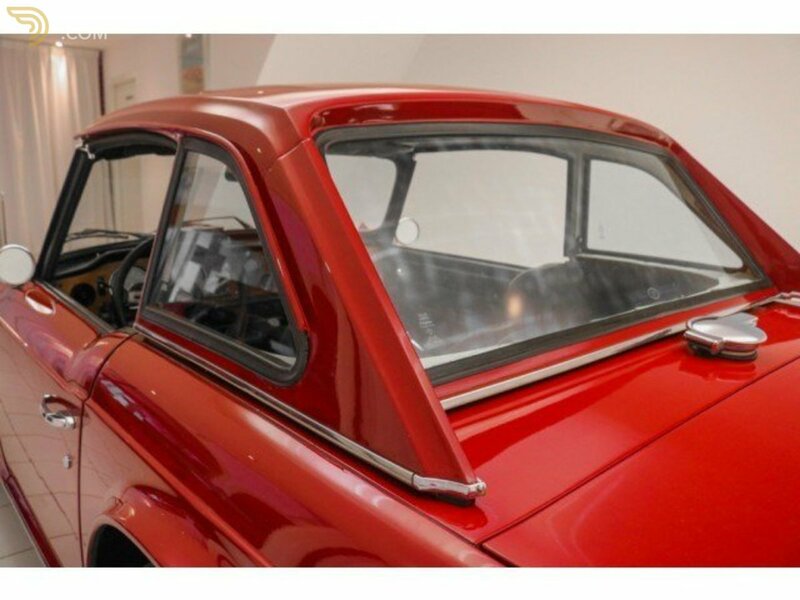 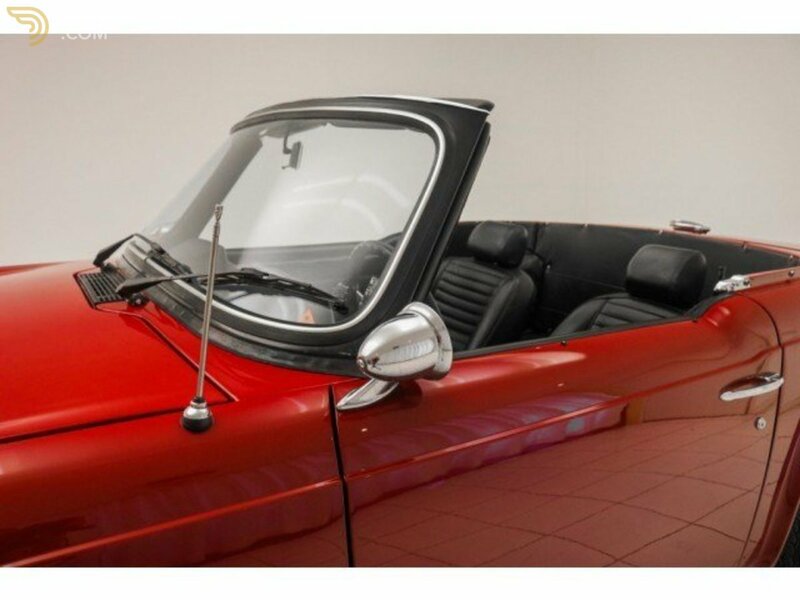 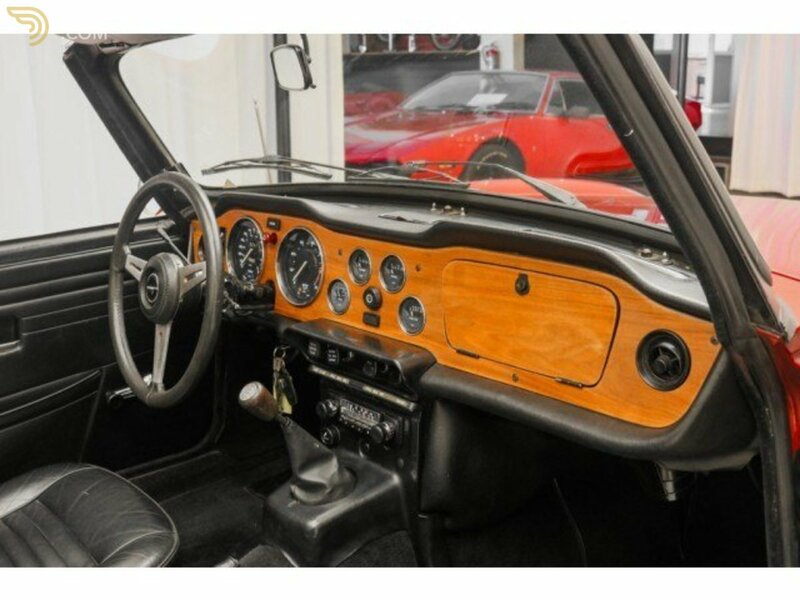 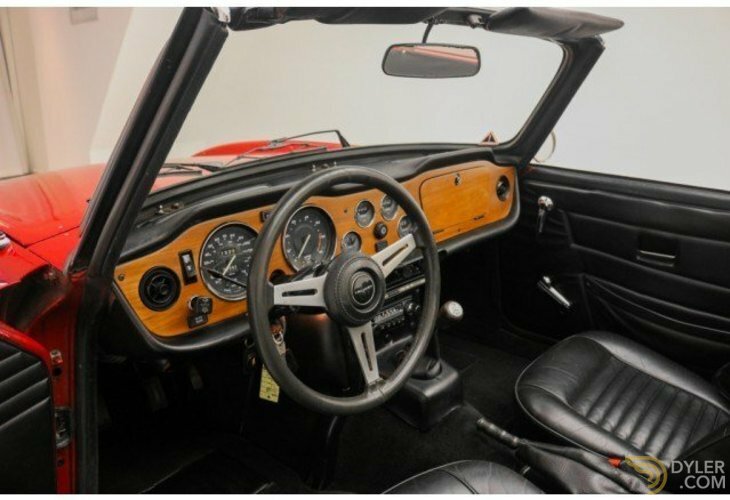 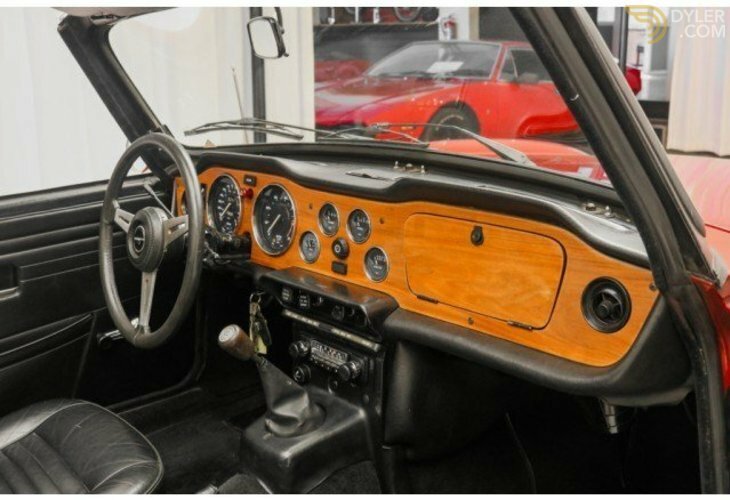 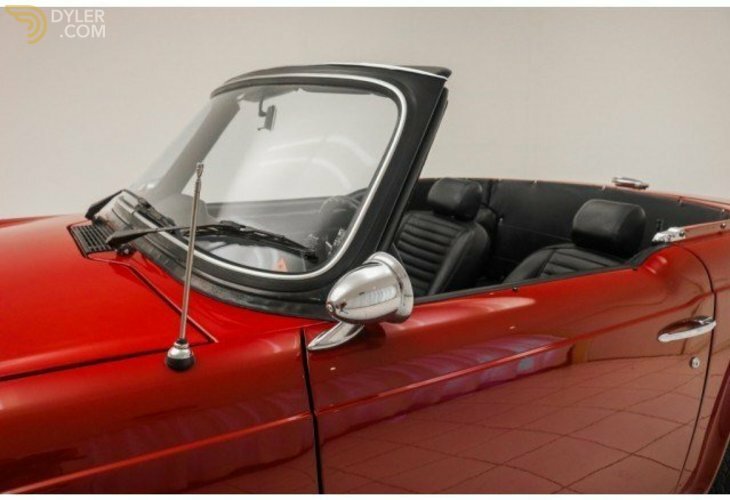 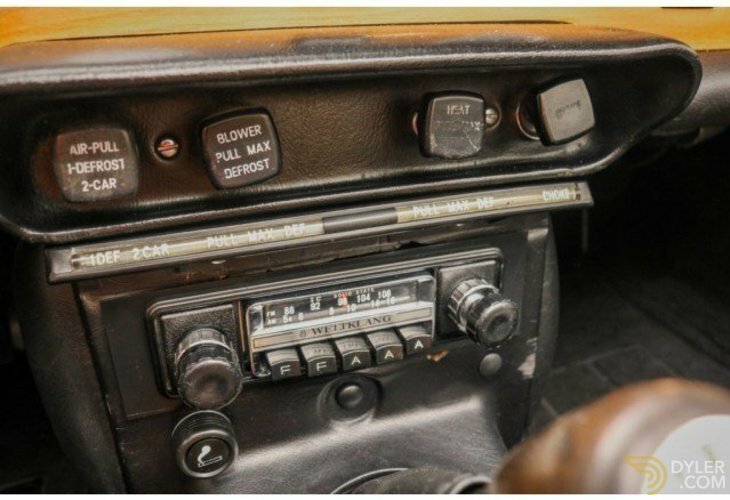 The interior of this Triumph is in very good condition and made of vinyl, executed in black. 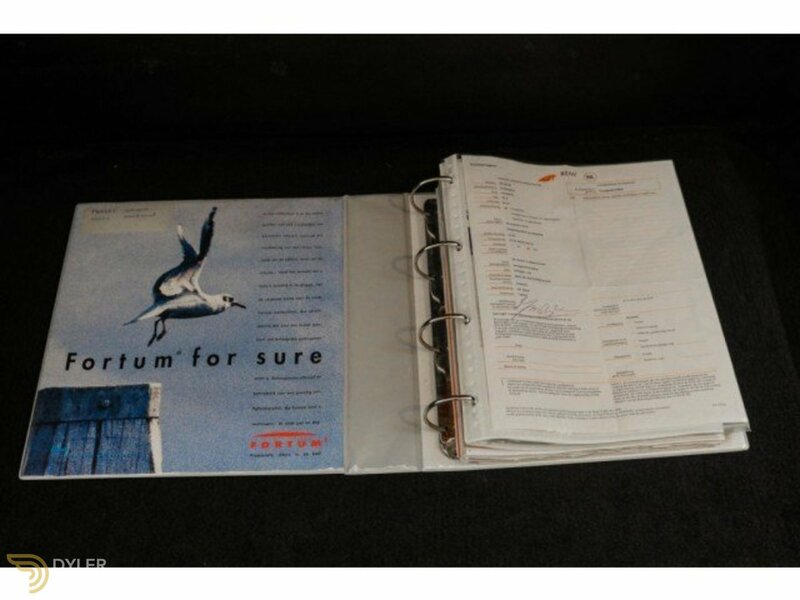 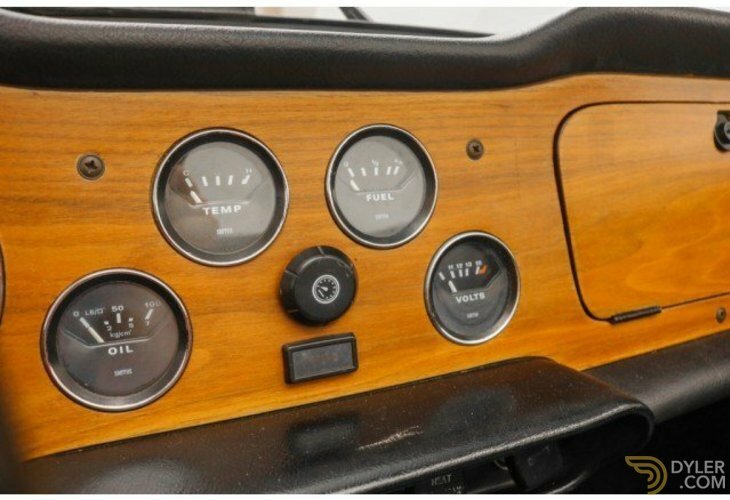 Furthermore, the interior is in good condition and all original clocks are present and are in good condition. 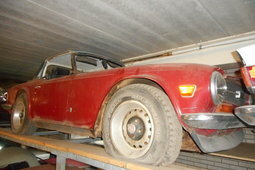 The woodwork is also present and this is in good condition. 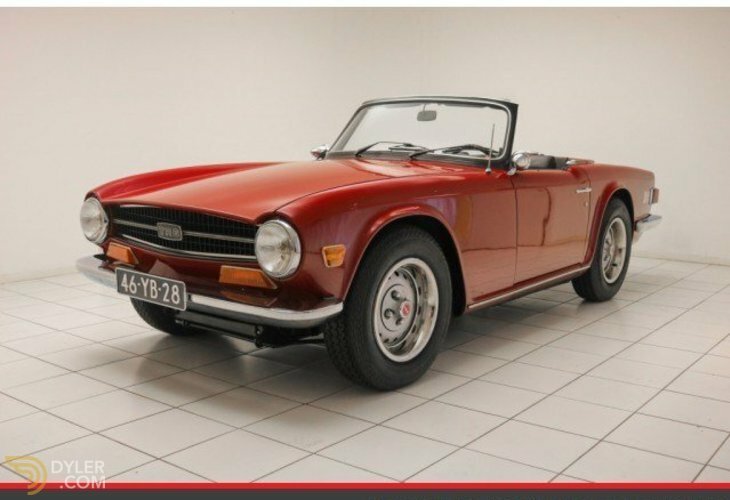 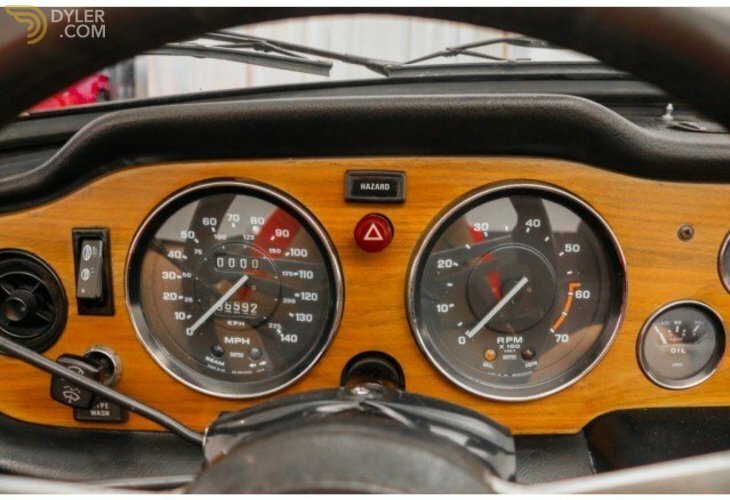 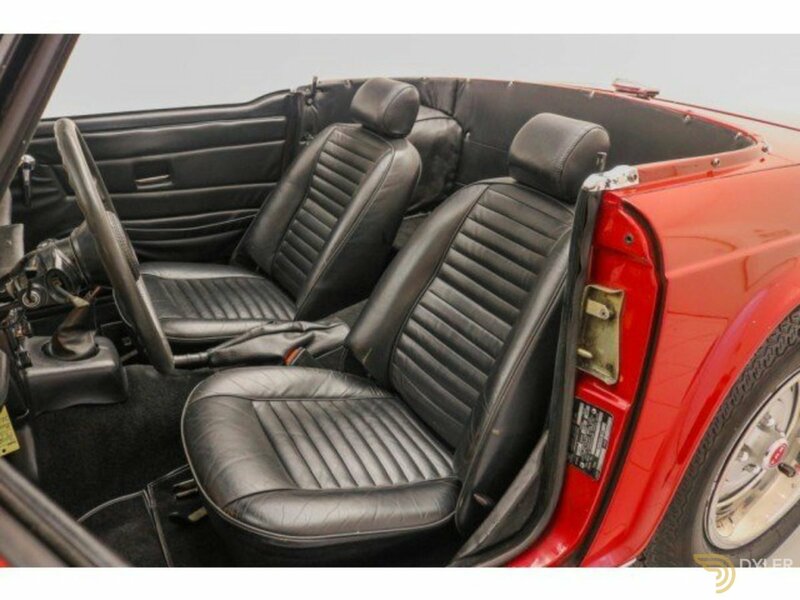 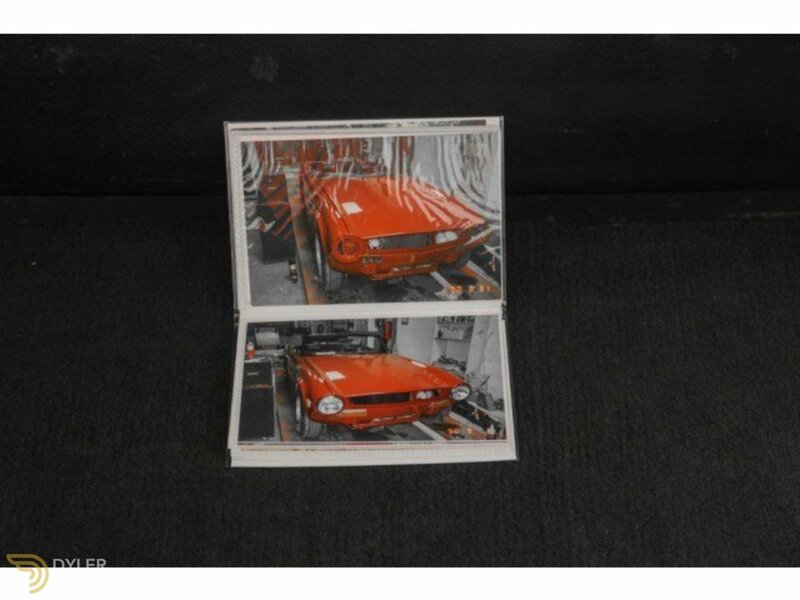 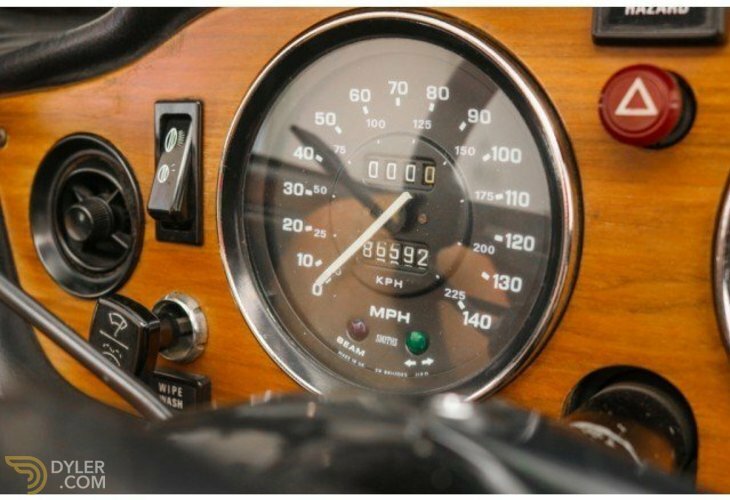 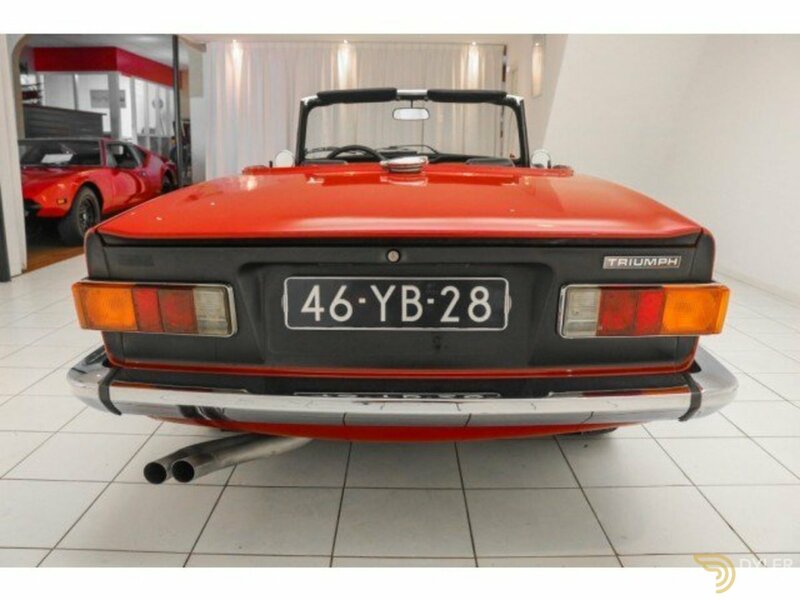 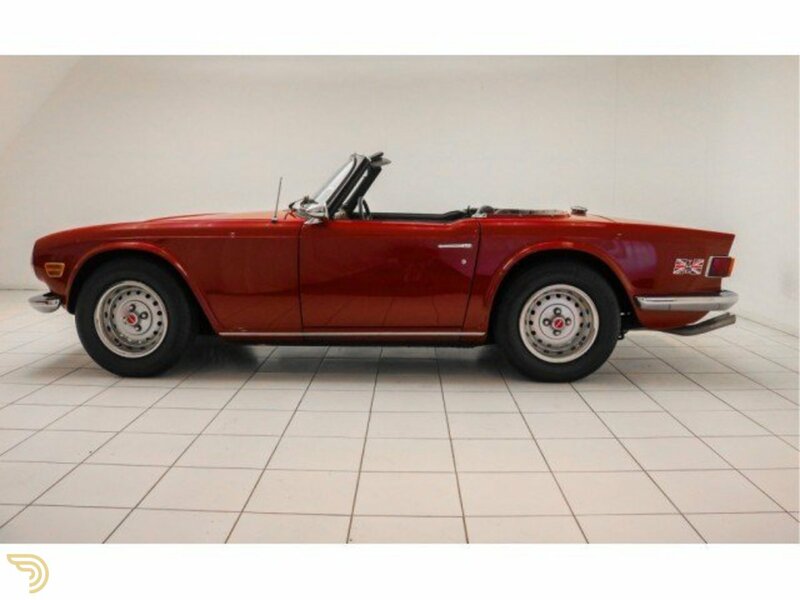 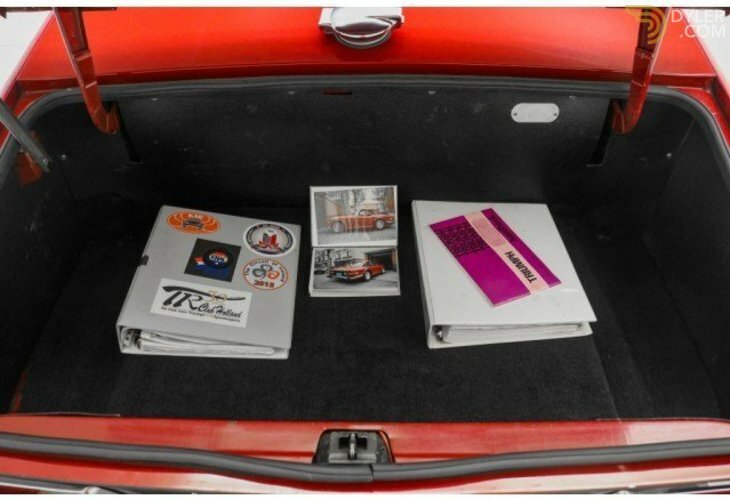 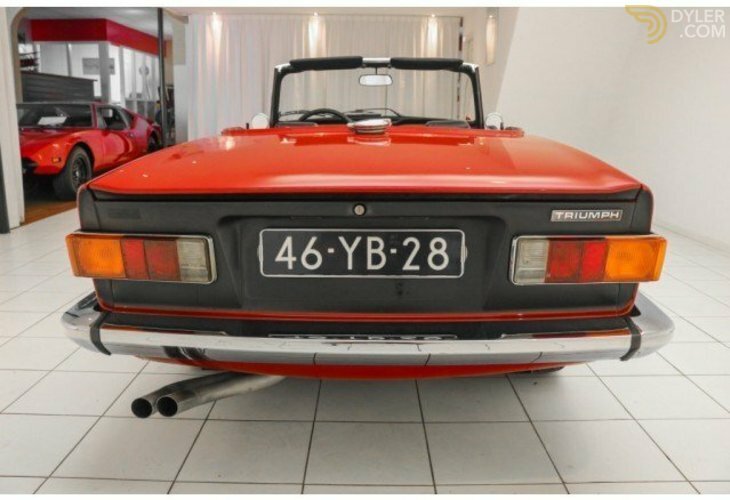 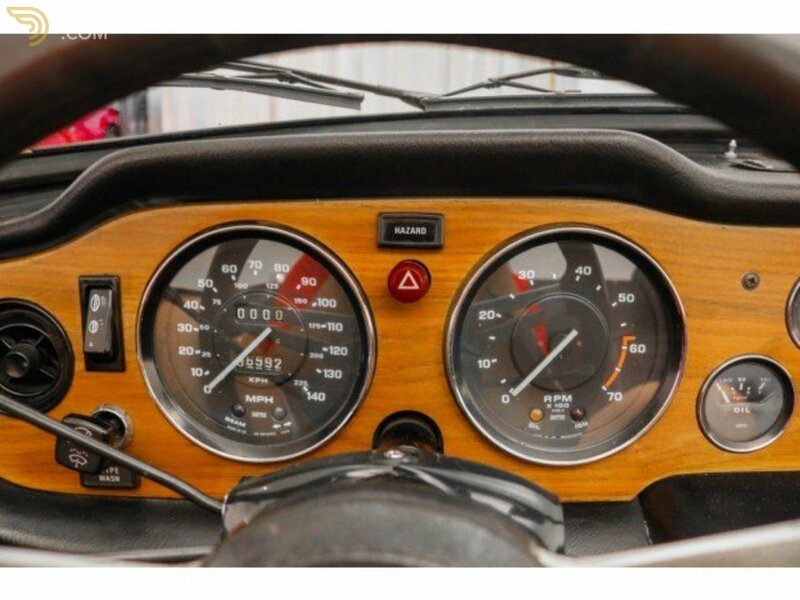 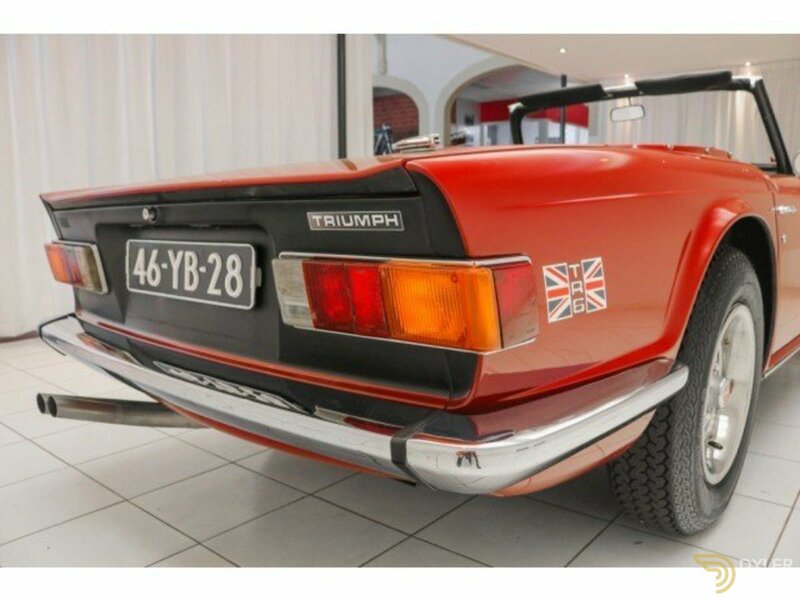 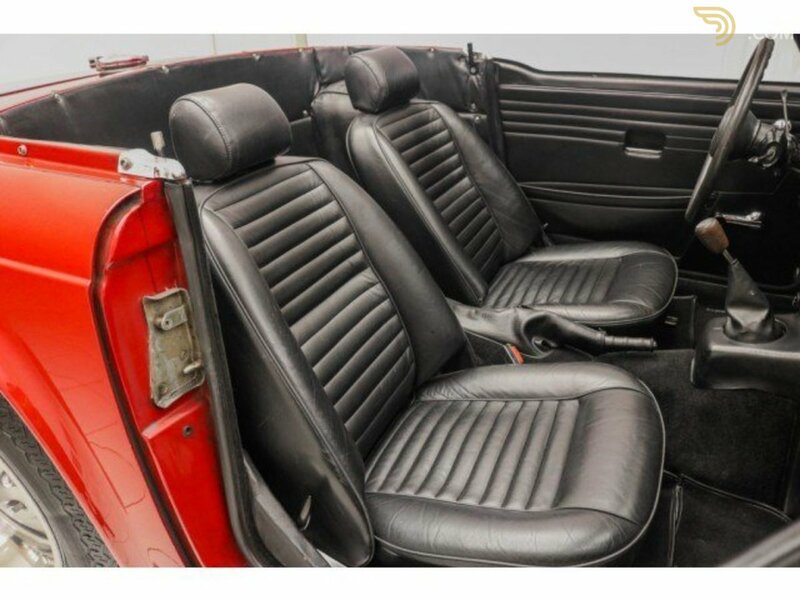 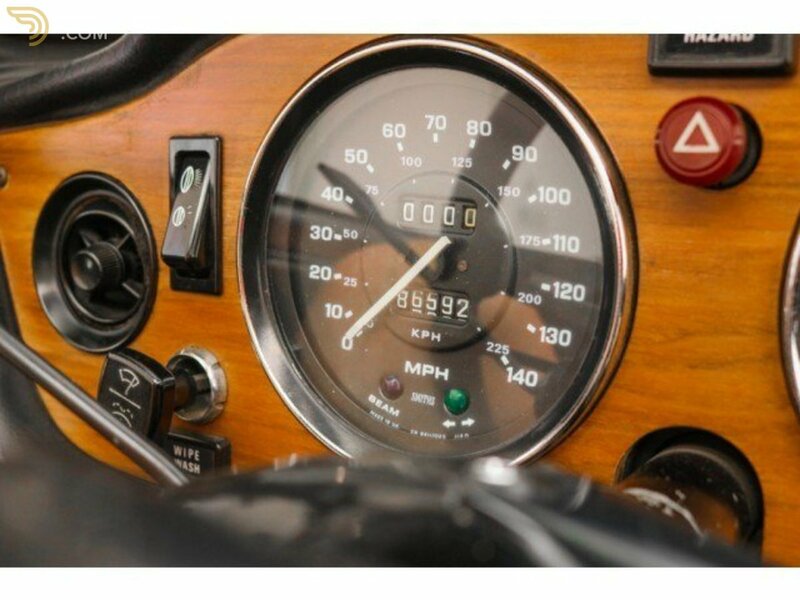 The technology of this Triumph TR6 is in excellent condition. 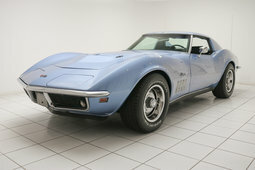 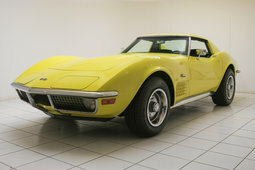 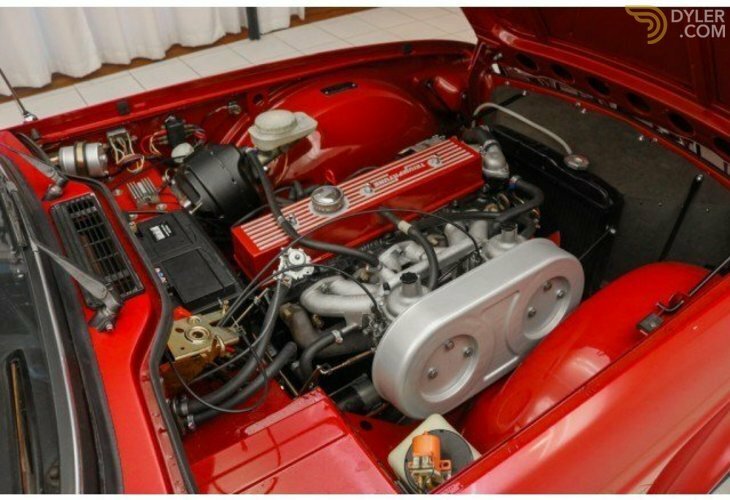 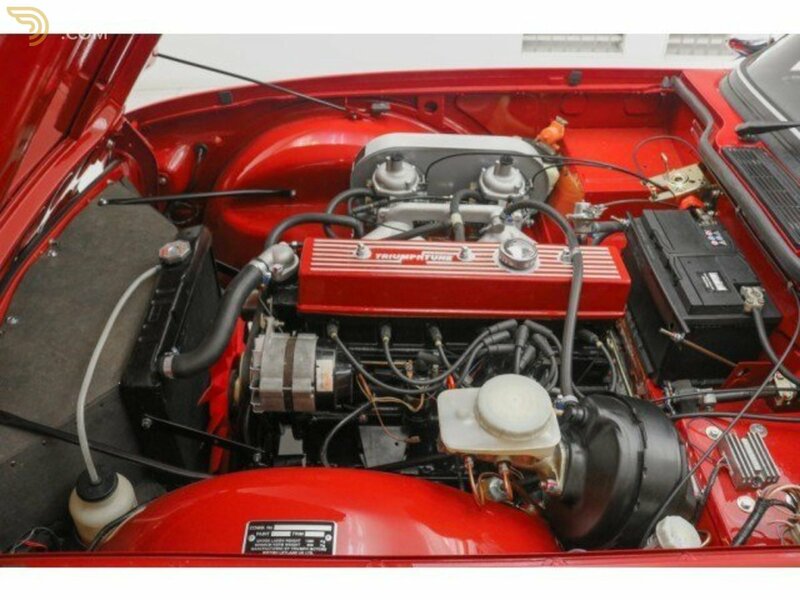 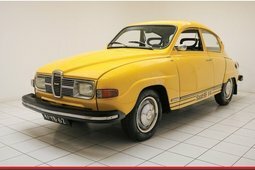 Equipped with its original 6-cylinder engine and it has double carburettors. 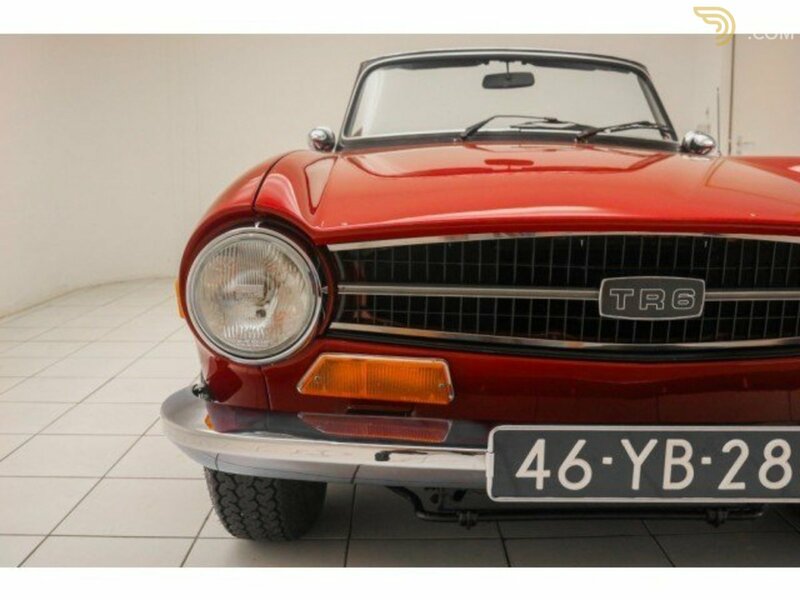 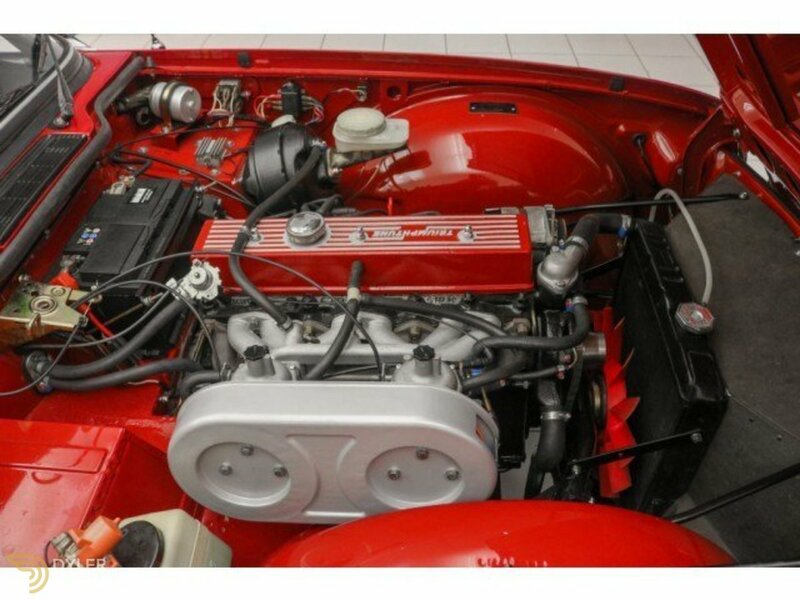 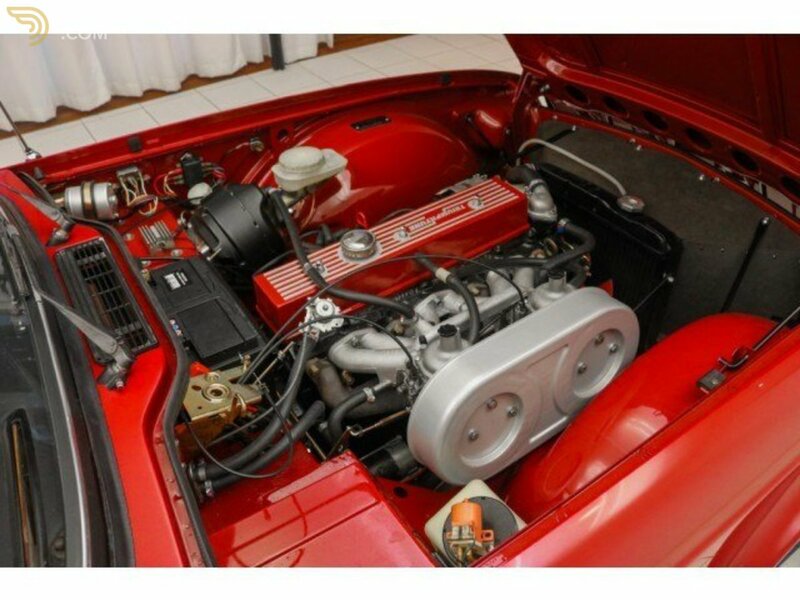 The power of this TR6 is around 140 hp! 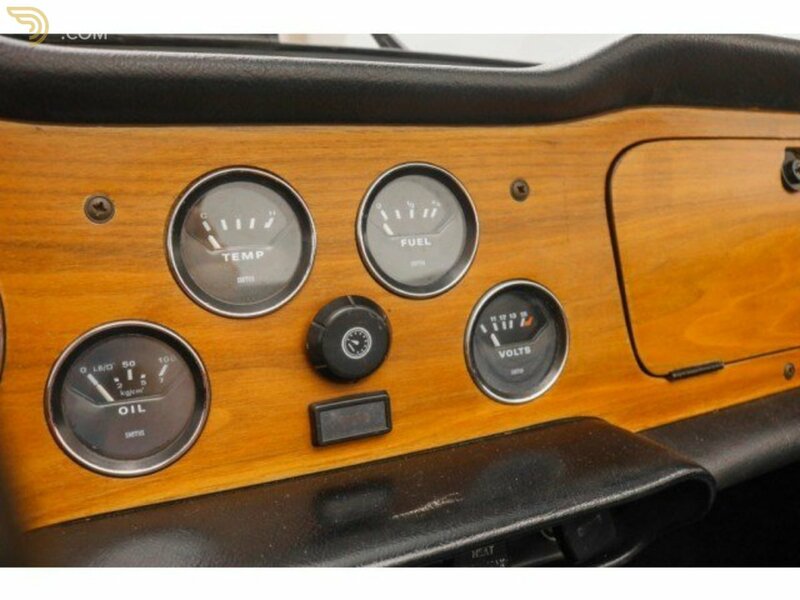 The gearbox, with overdrive switches excellent and the car runs perfectly! 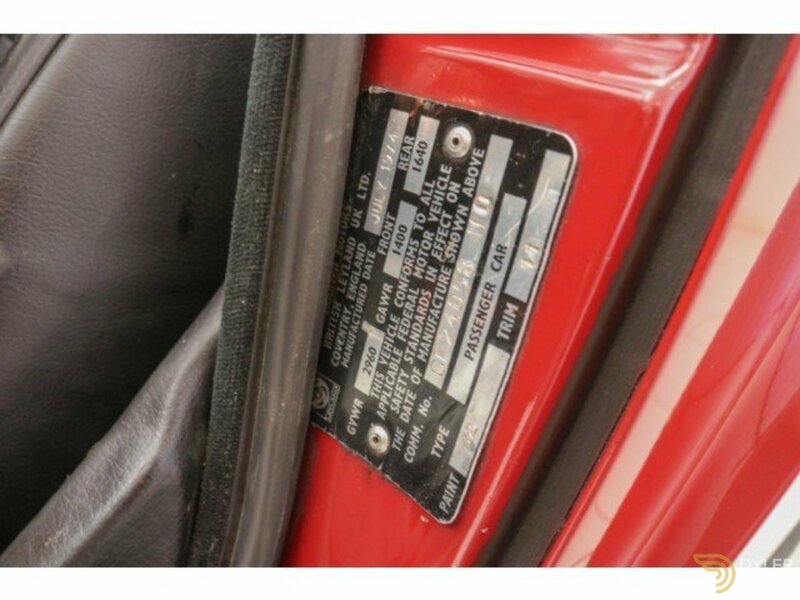 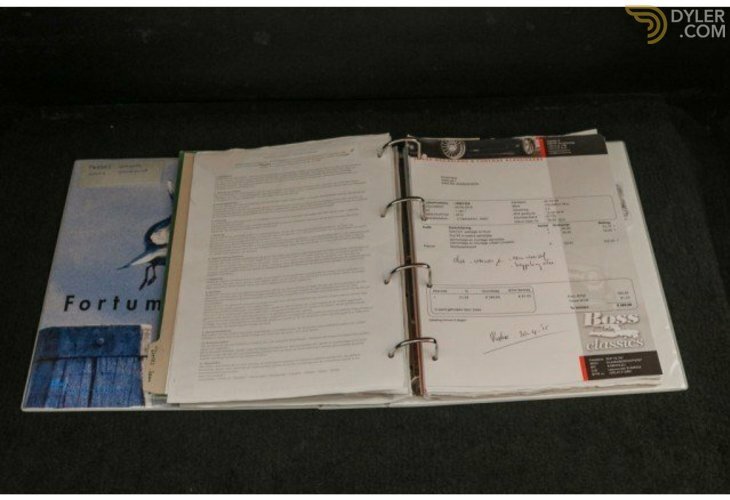 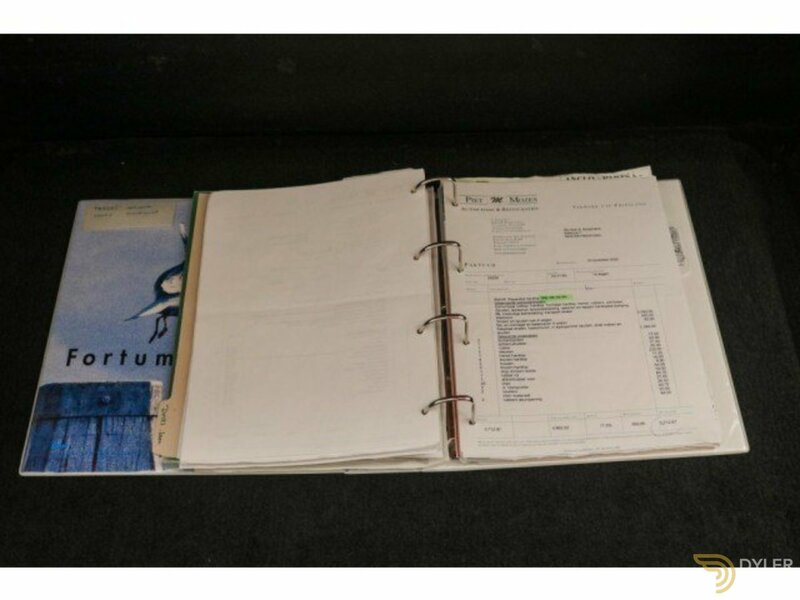 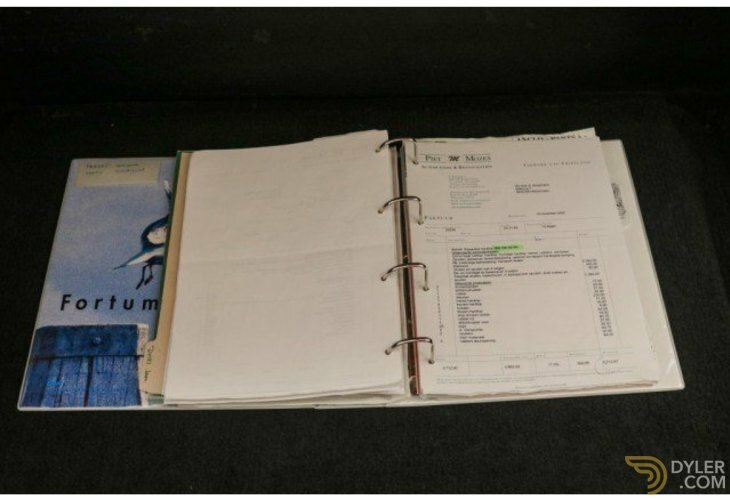 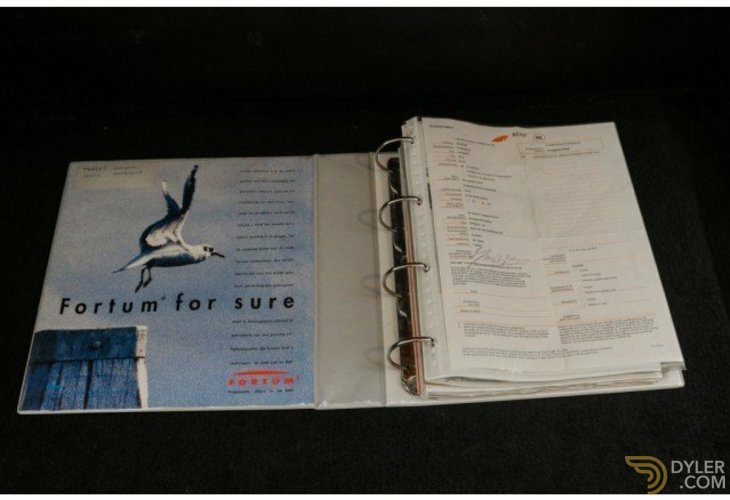 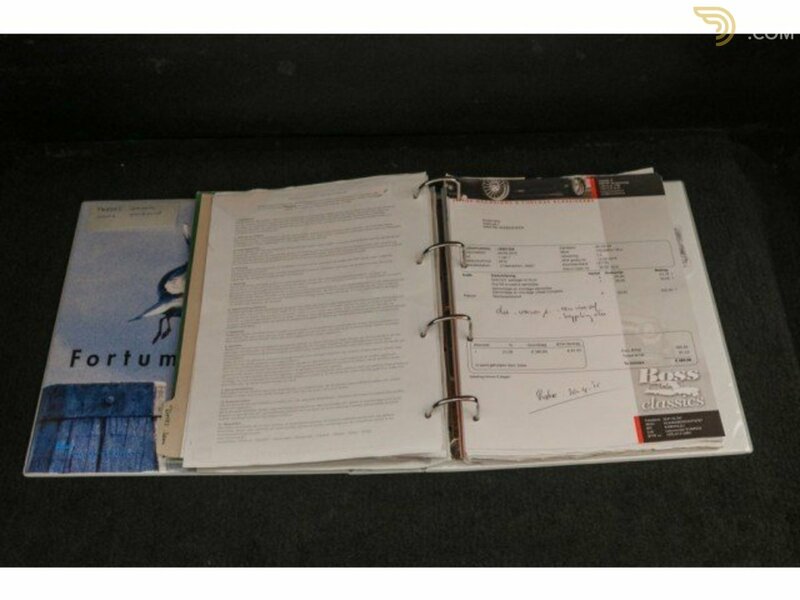 The car has a lot of history, there are bills of maintenance present from the beginning of the 90's until now (see large map on the photo).